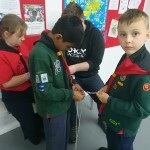 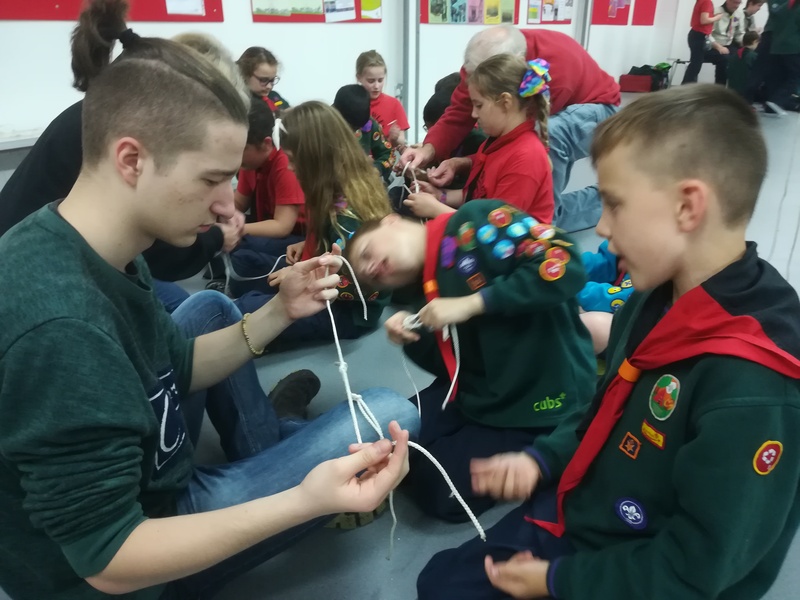 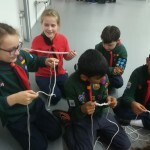 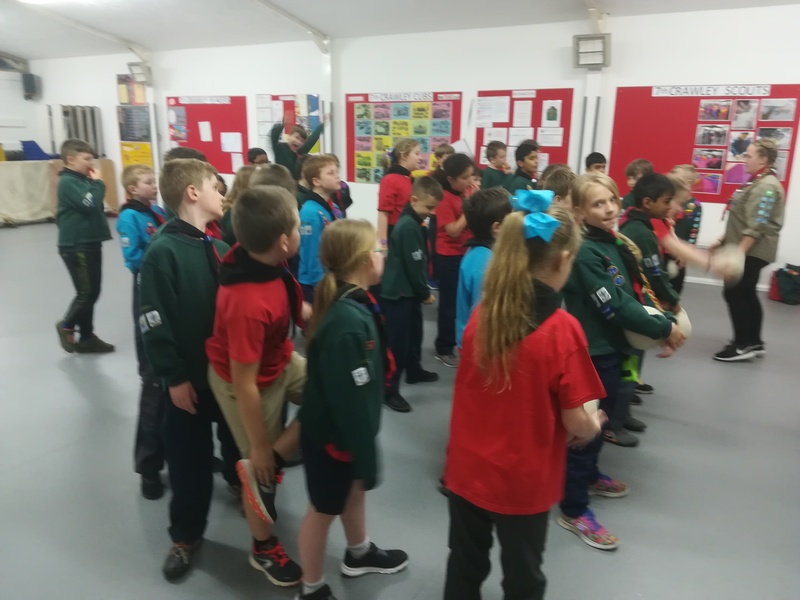 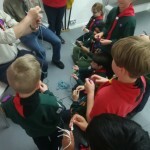 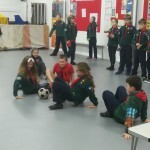 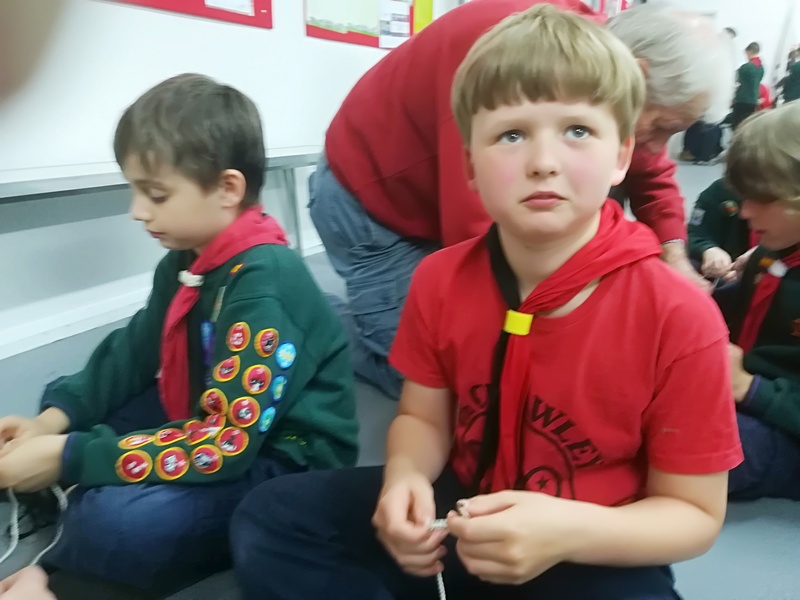 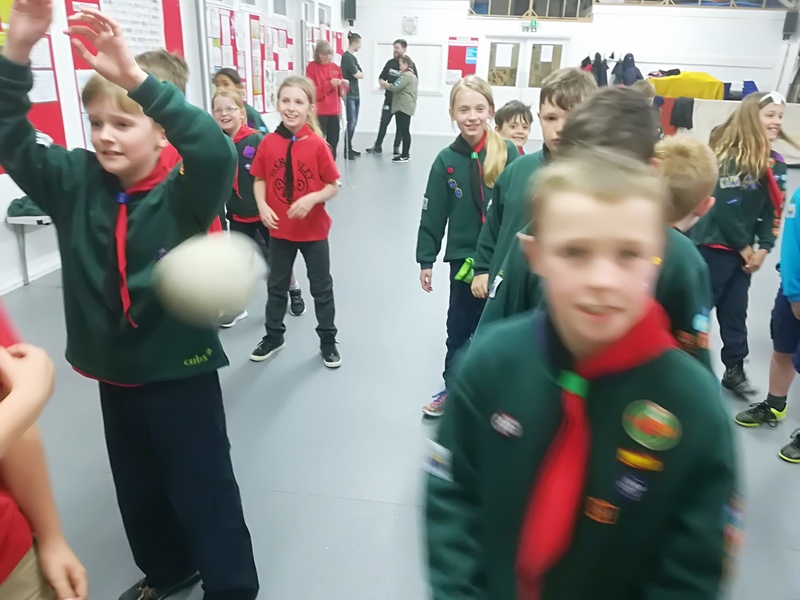 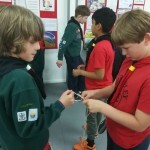 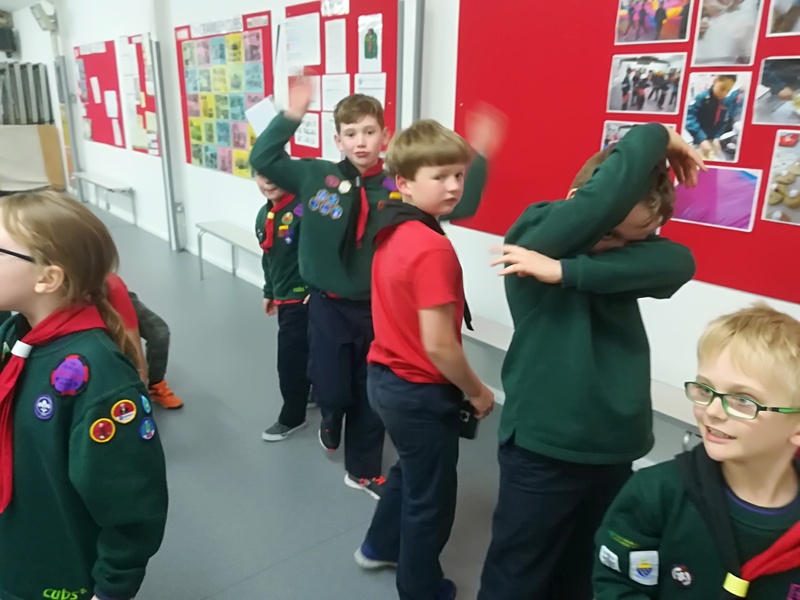 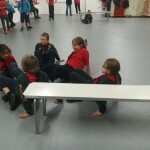 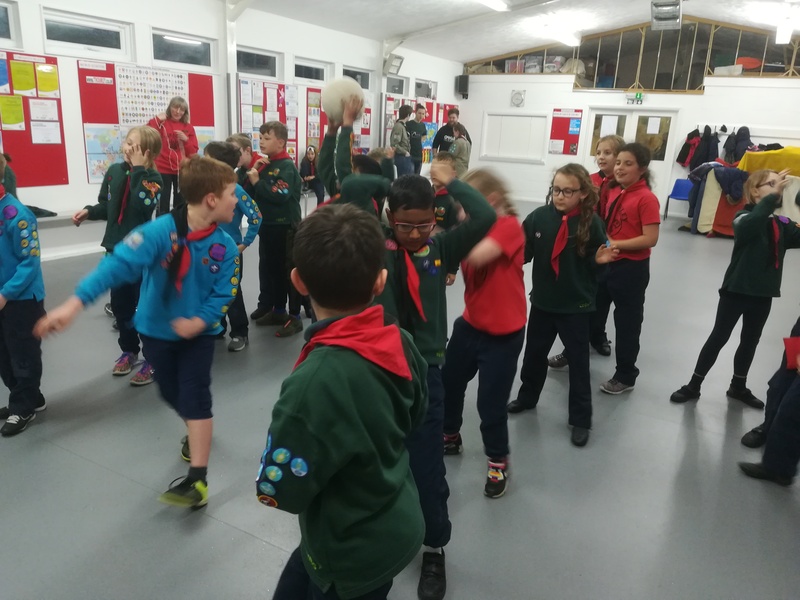 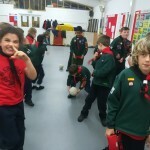 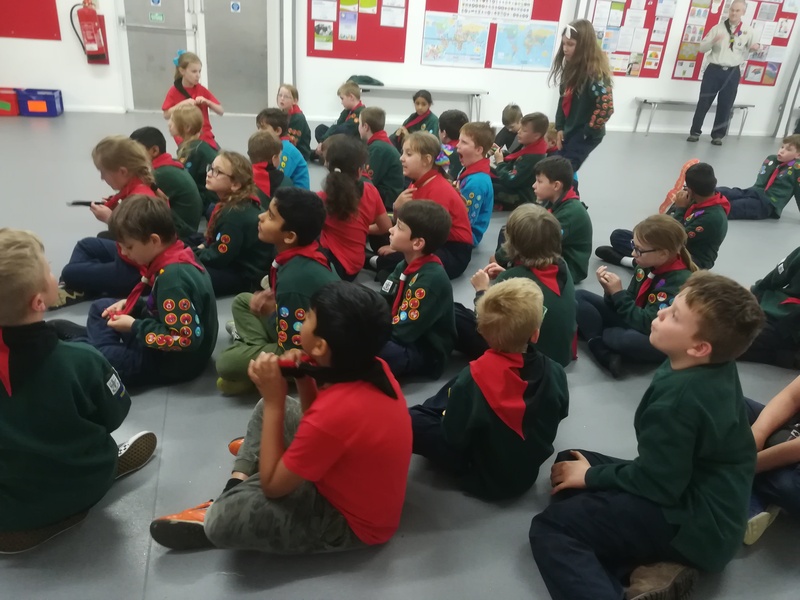 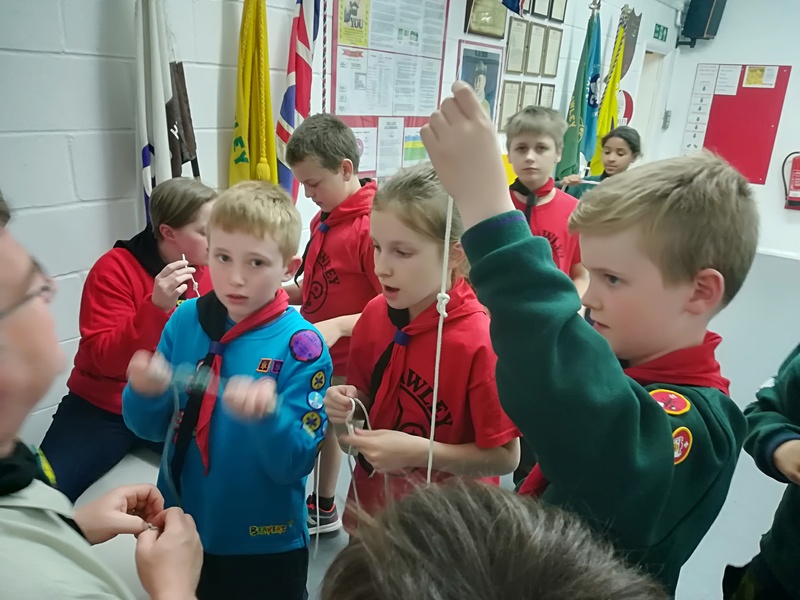 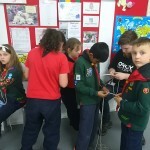 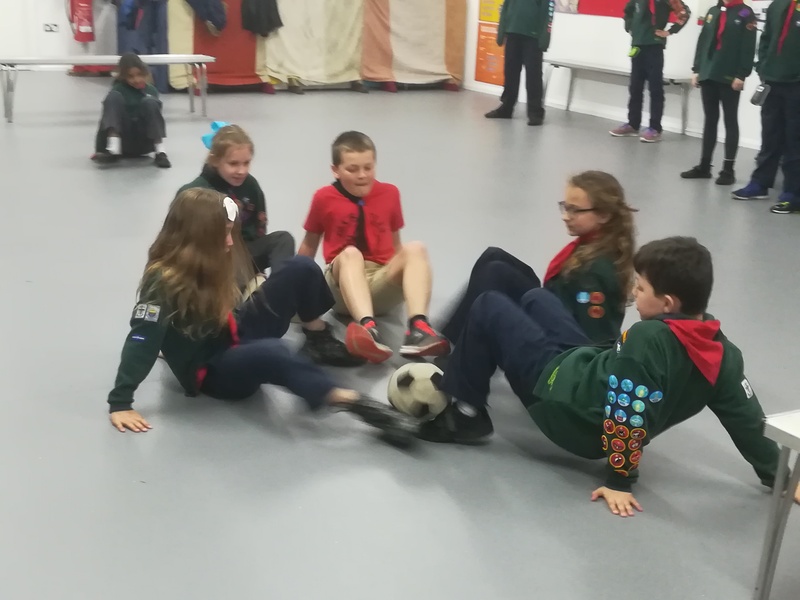 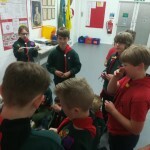 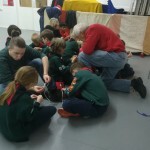 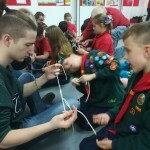 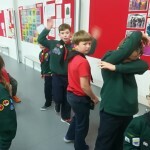 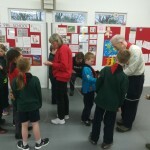 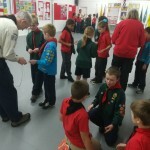 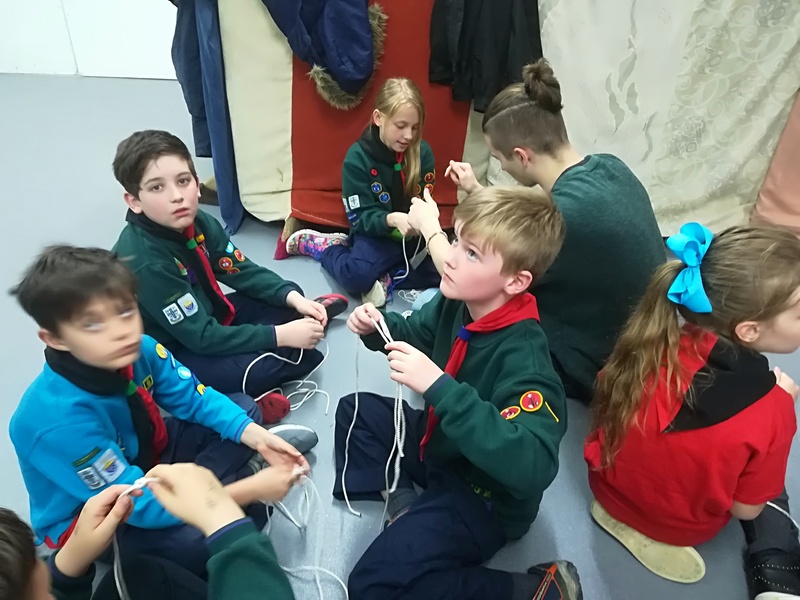 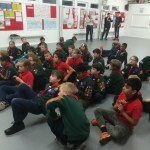 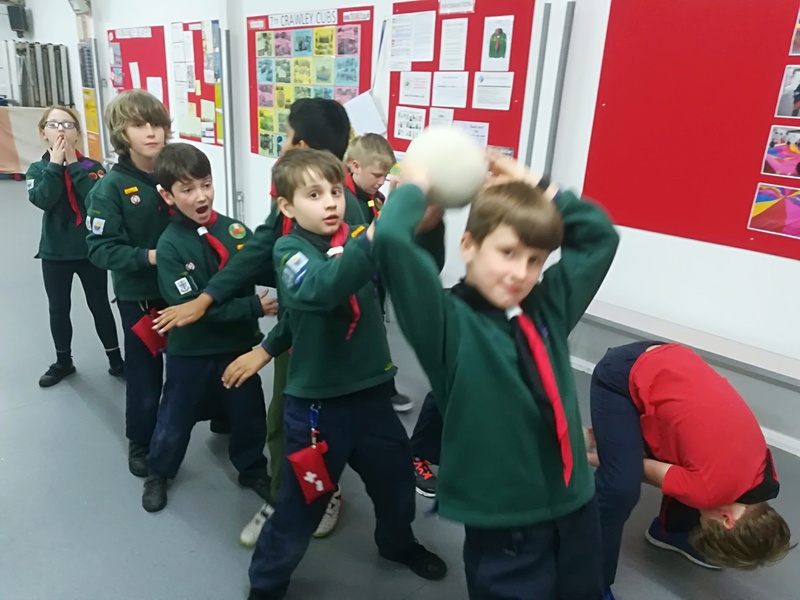 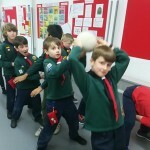 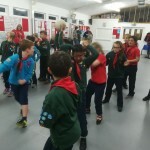 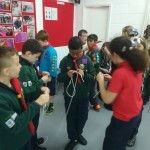 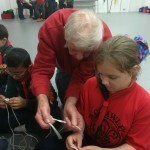 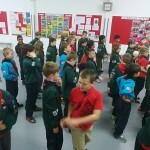 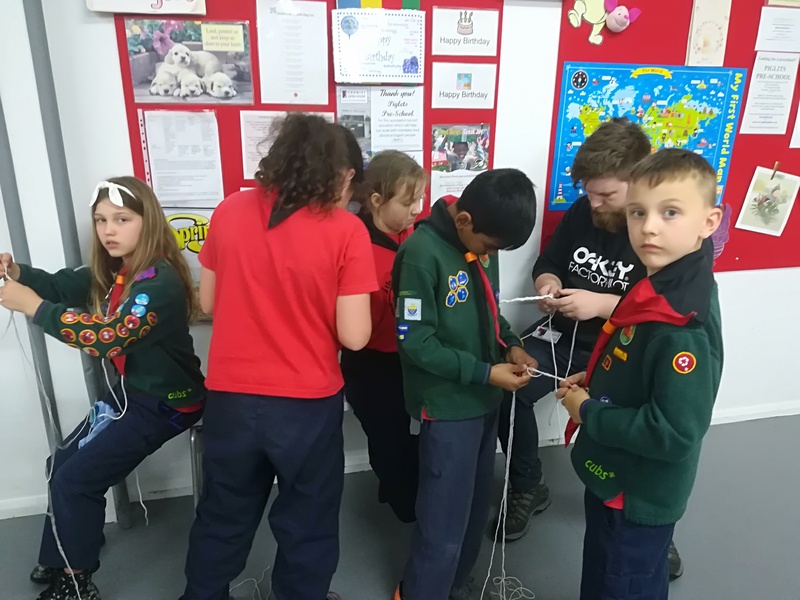 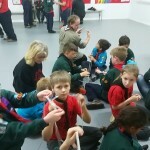 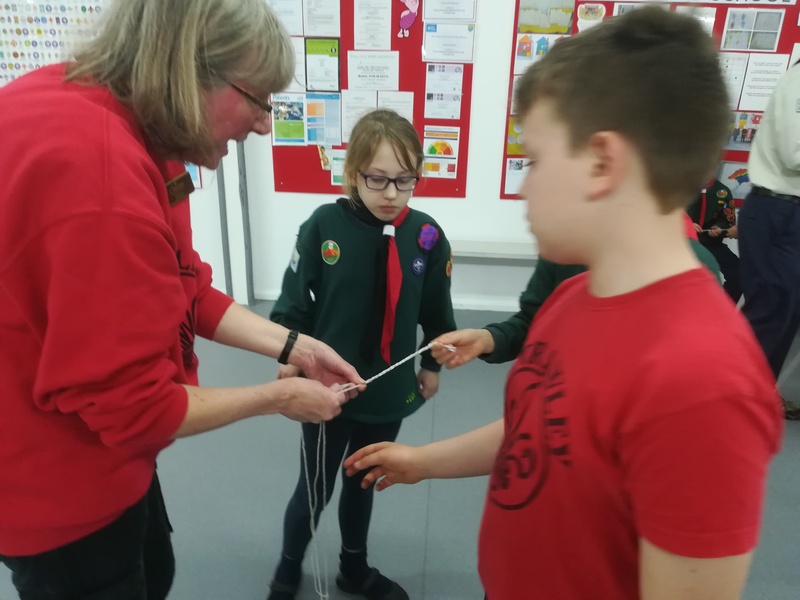 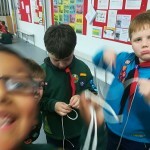 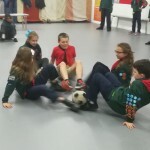 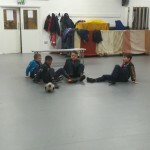 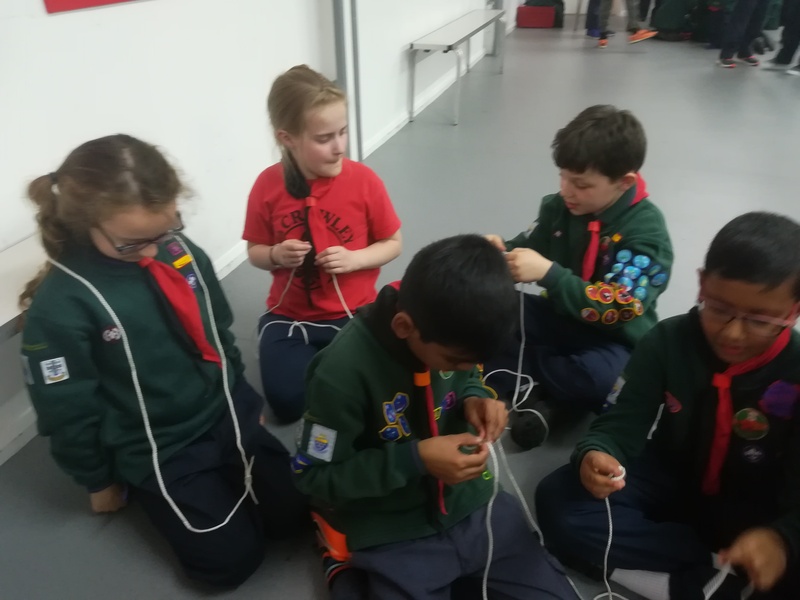 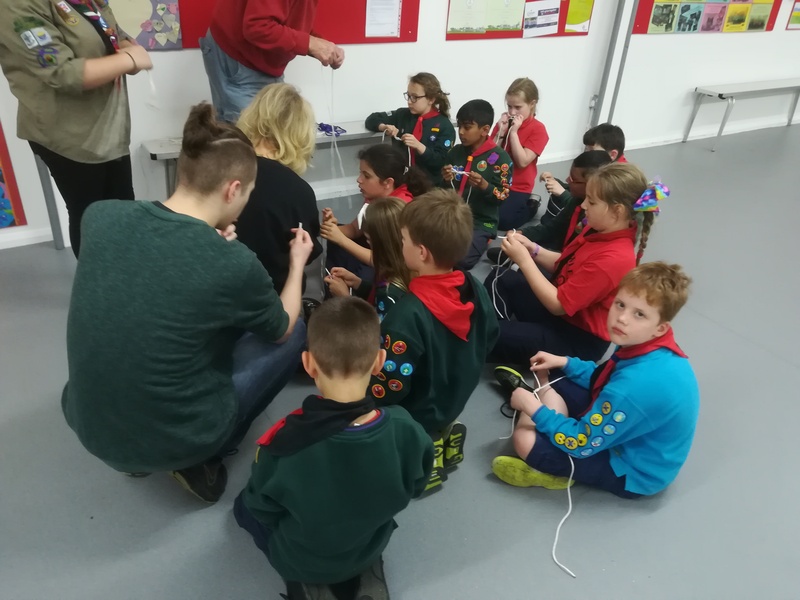 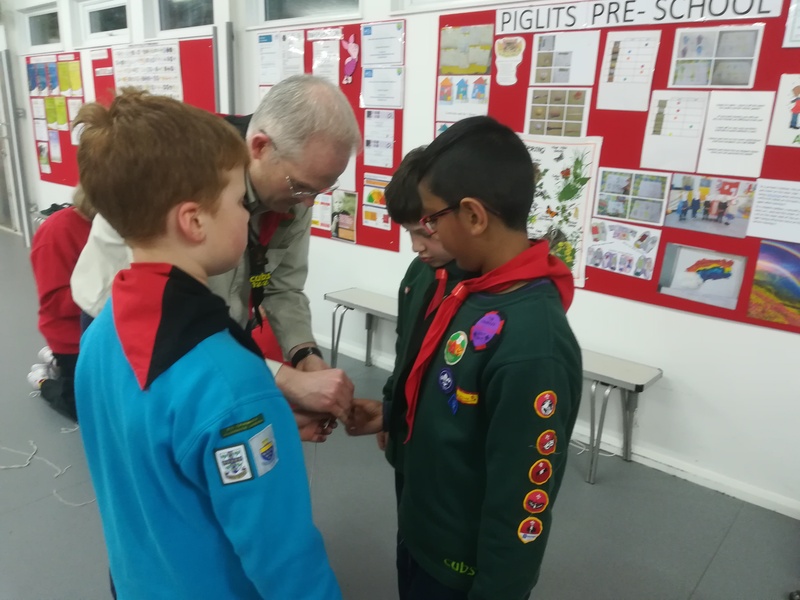 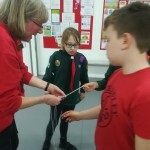 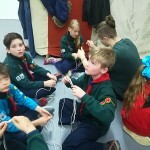 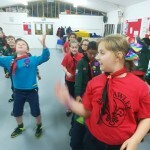 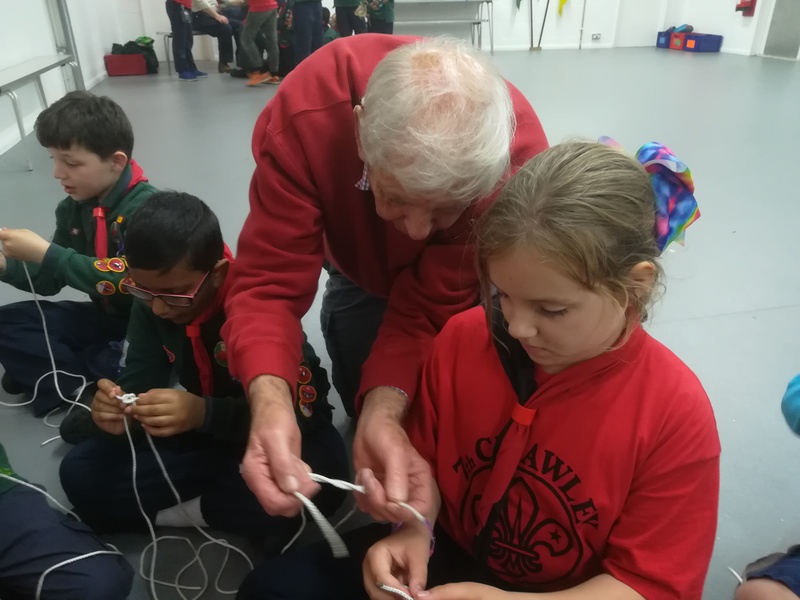 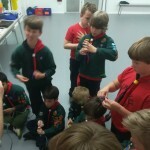 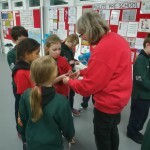 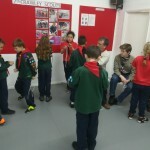 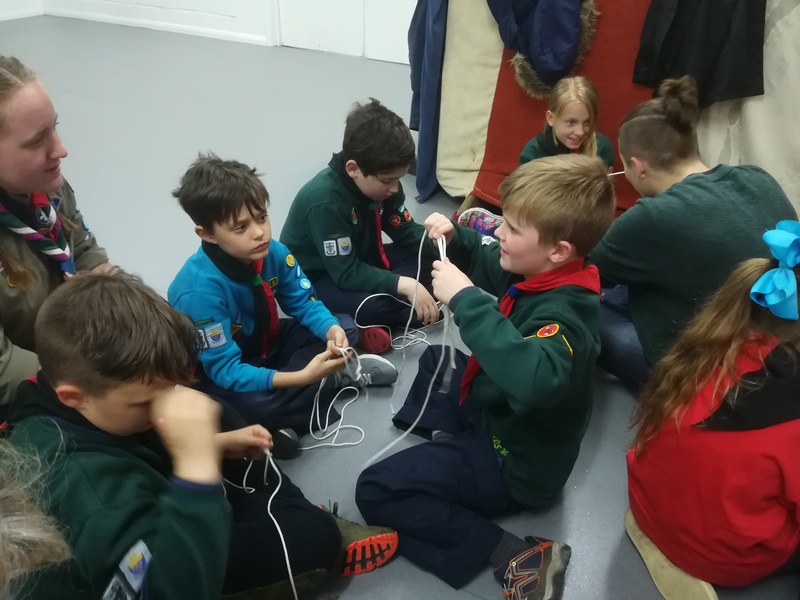 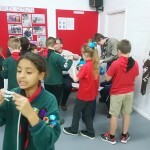 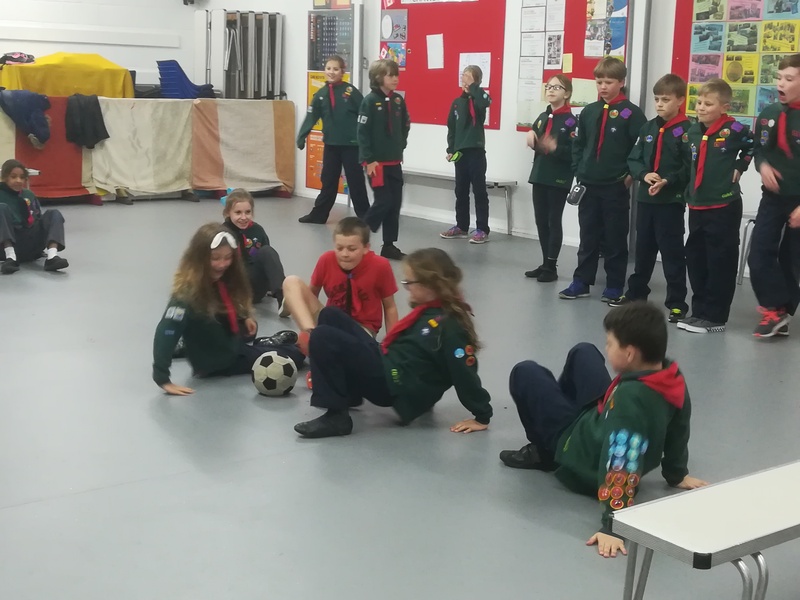 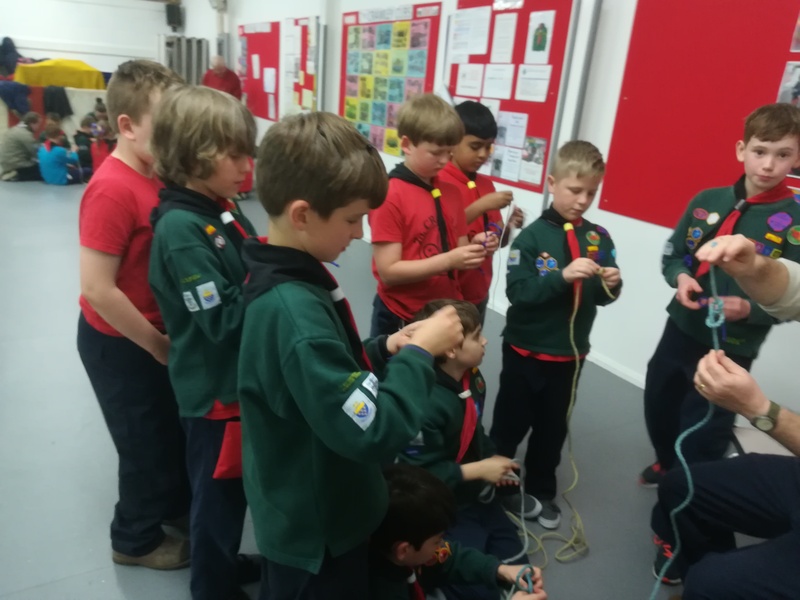 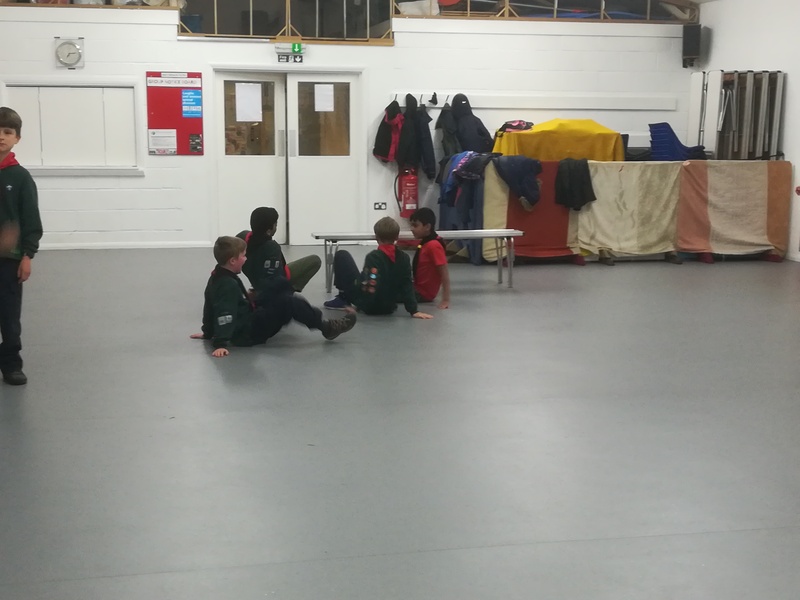 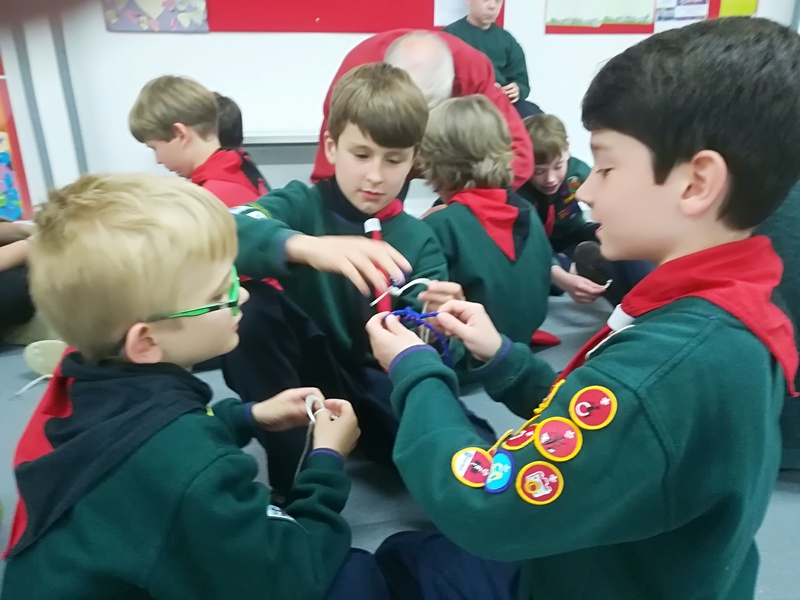 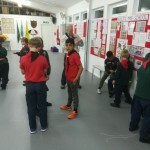 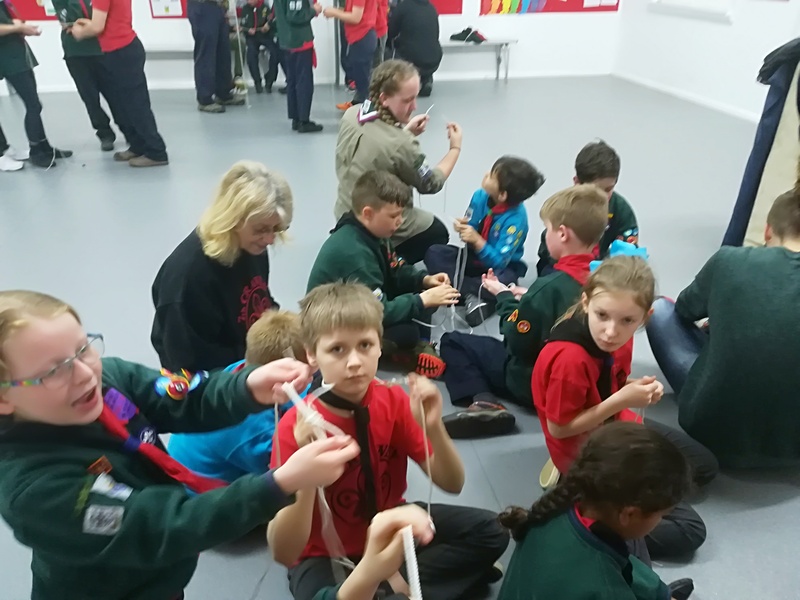 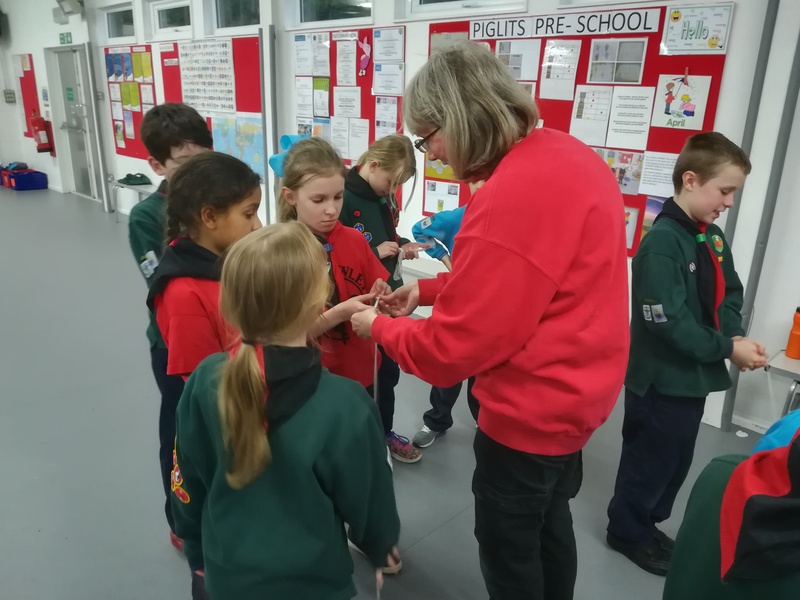 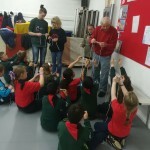 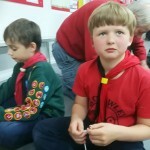 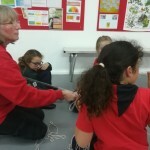 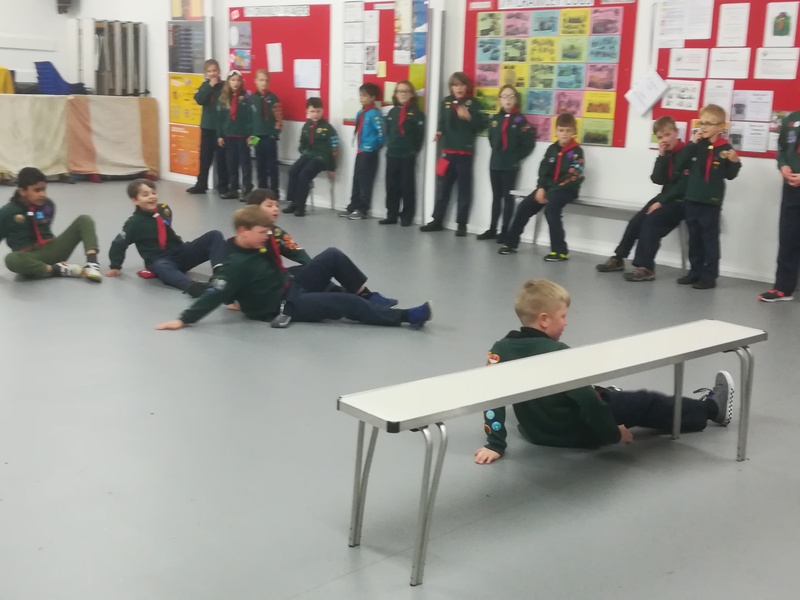 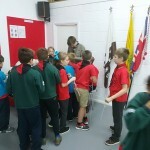 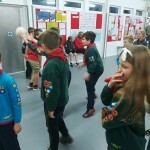 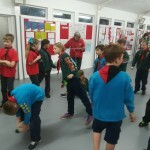 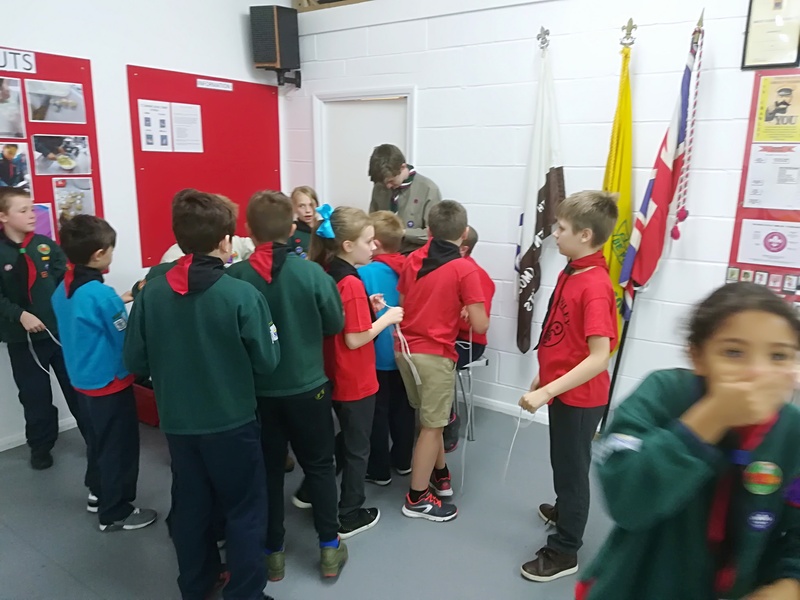 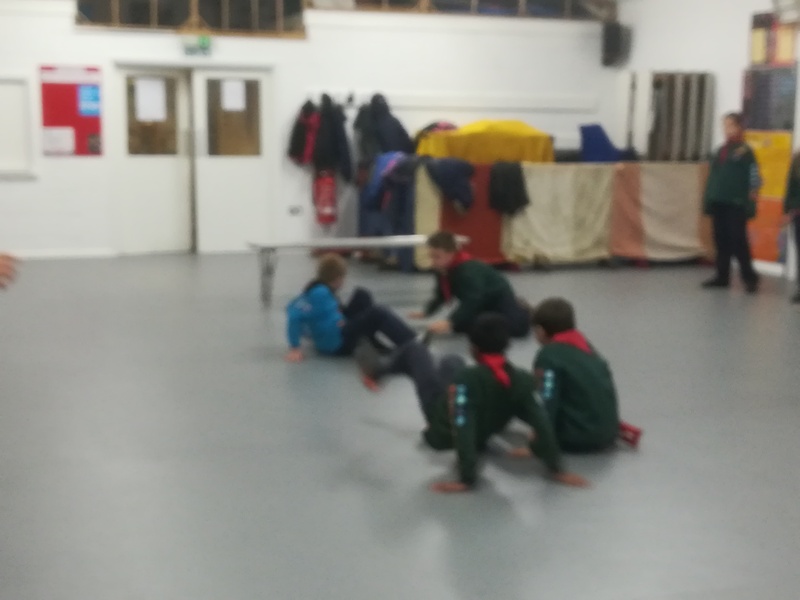 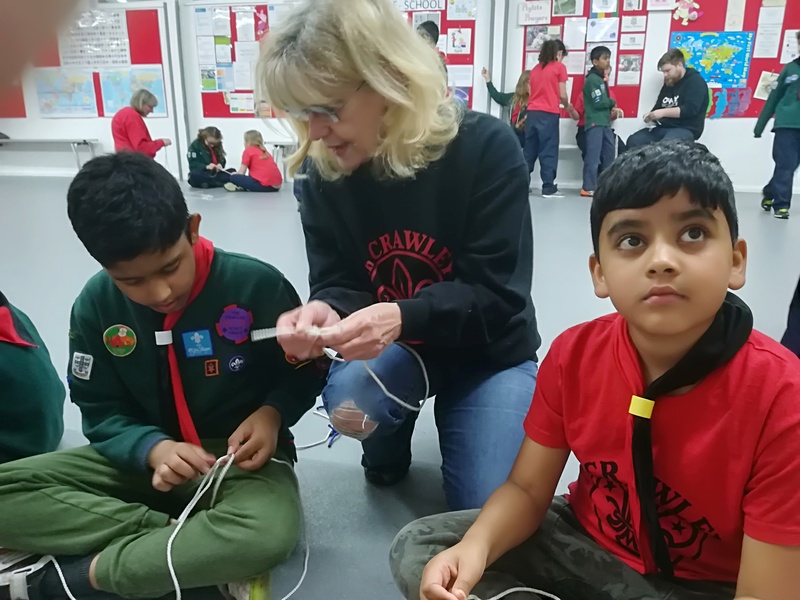 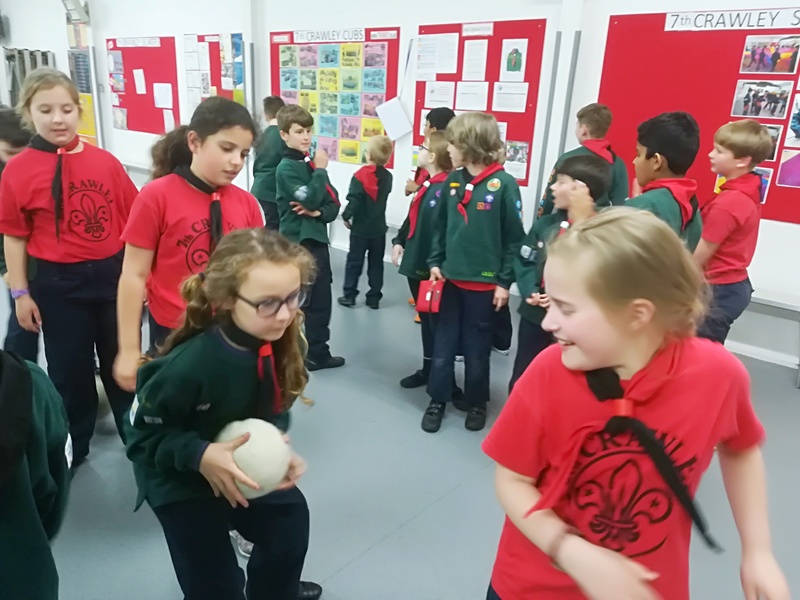 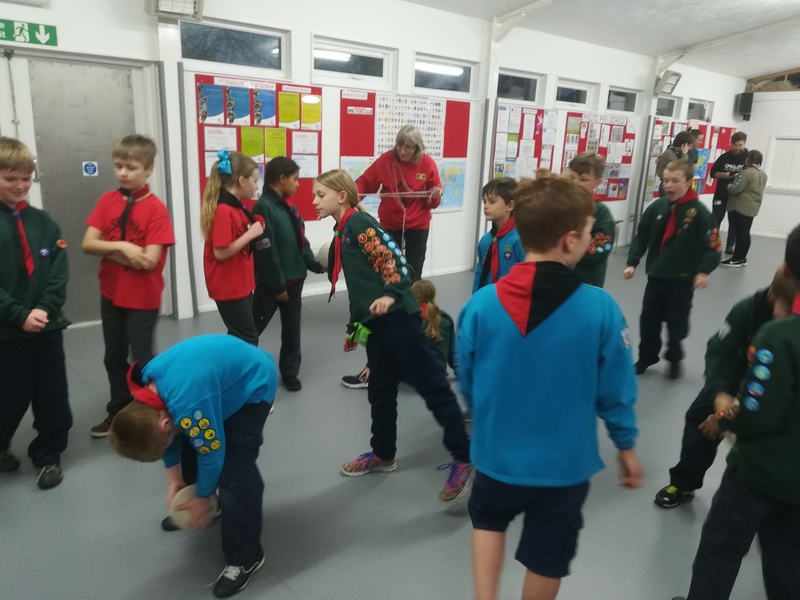 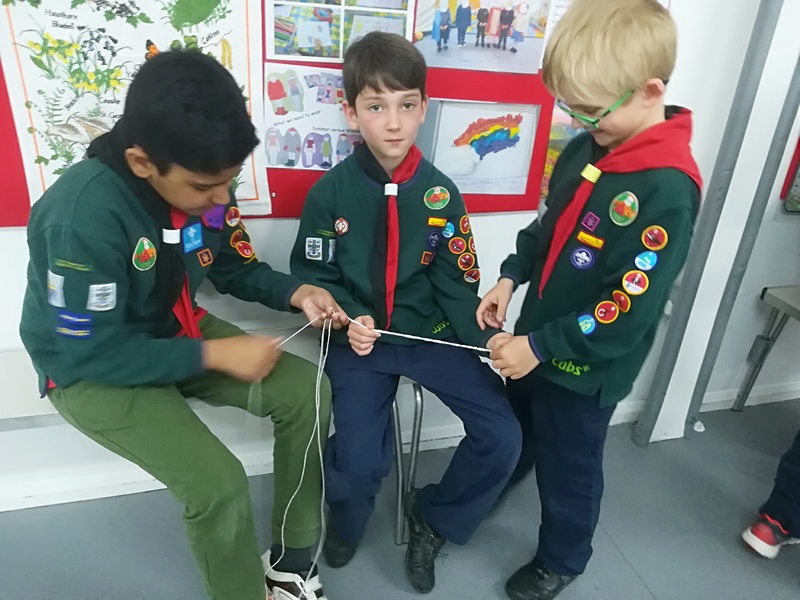 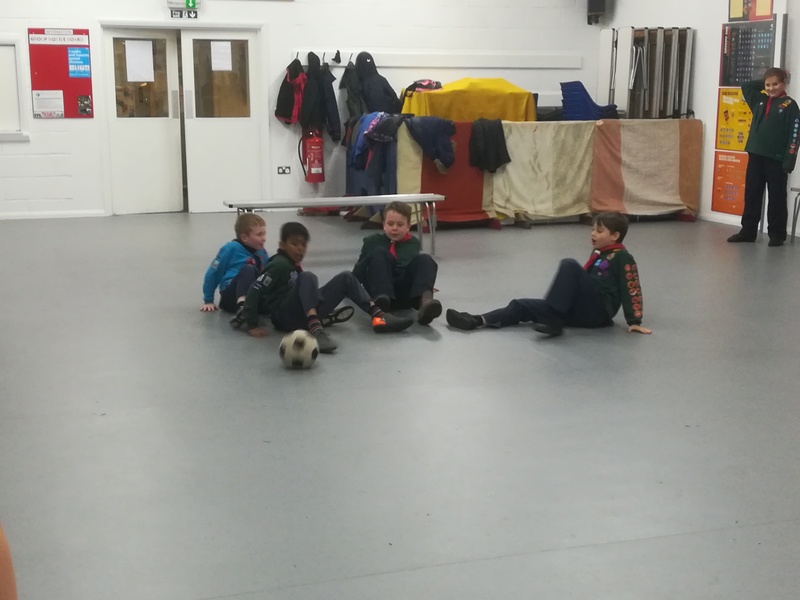 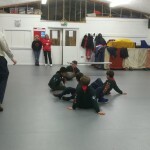 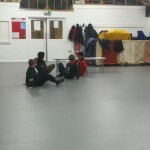 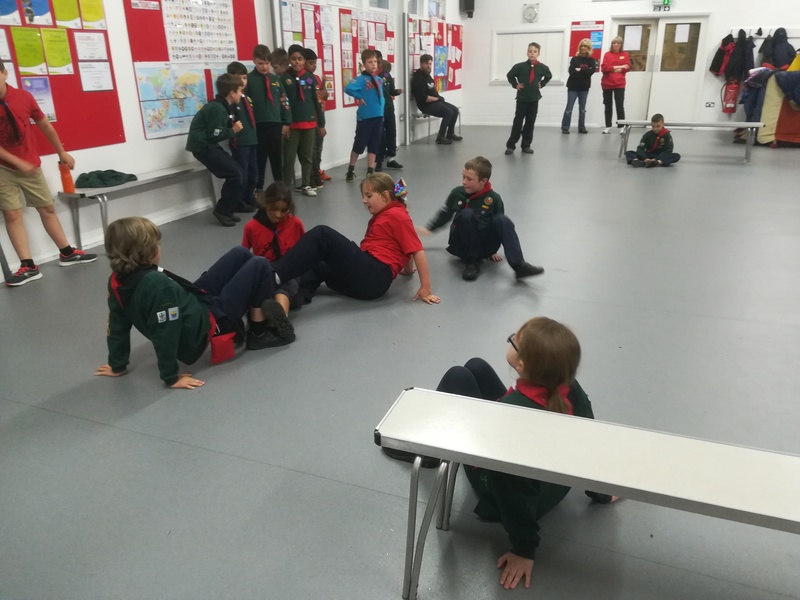 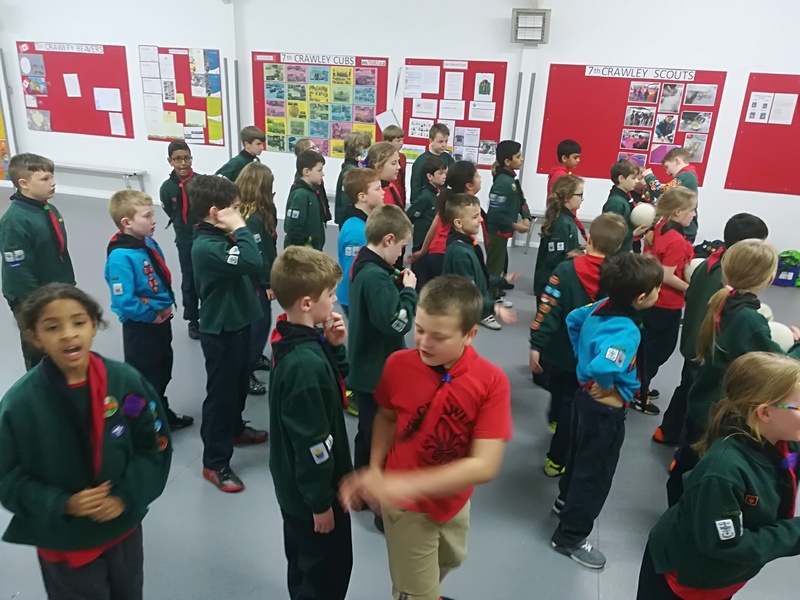 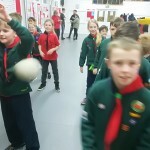 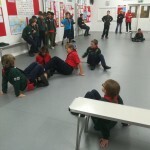 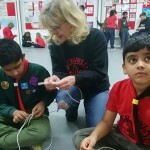 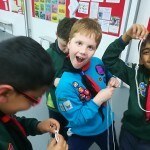 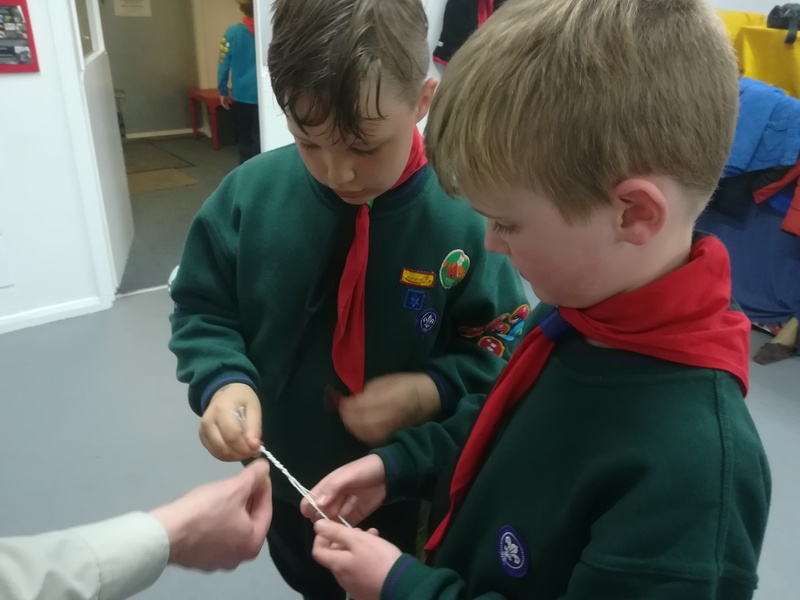 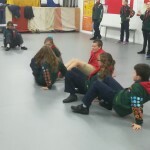 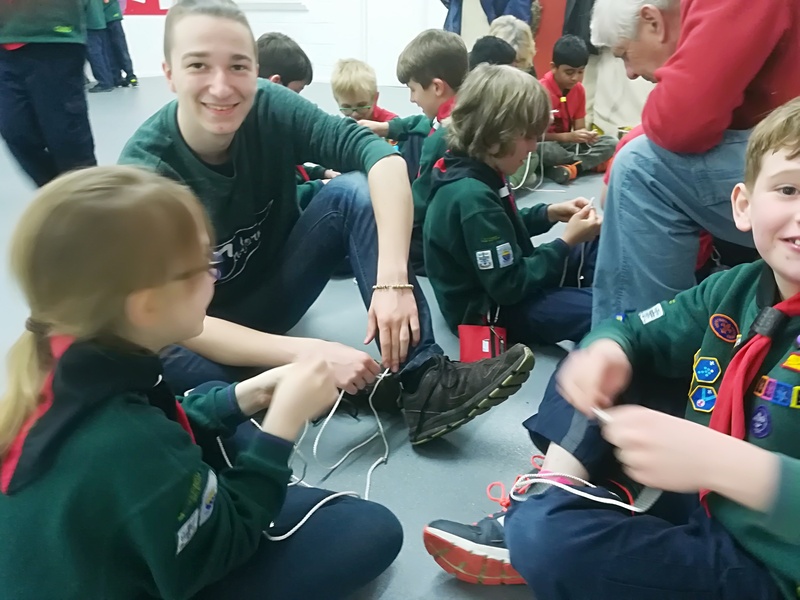 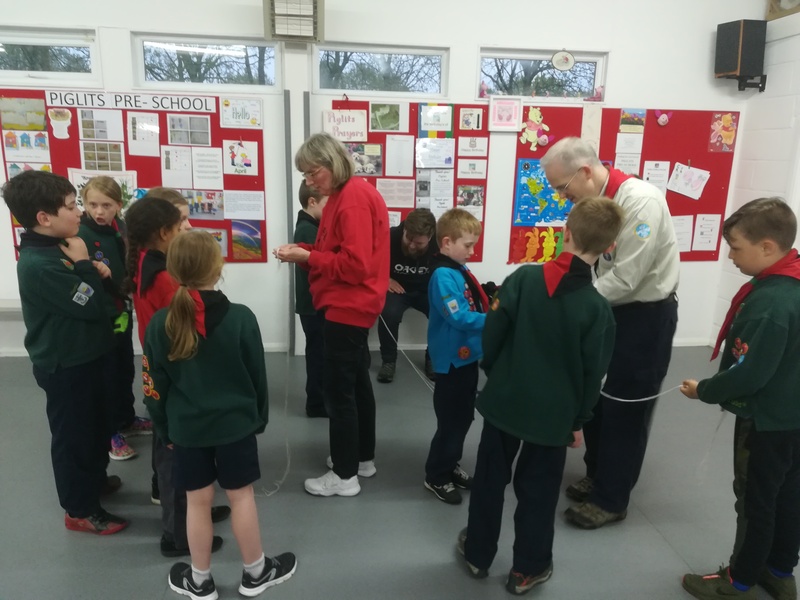 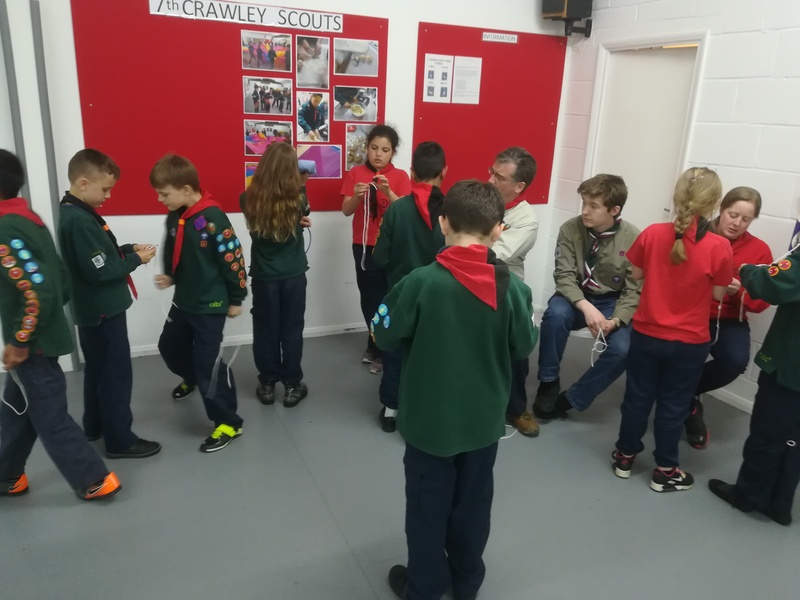 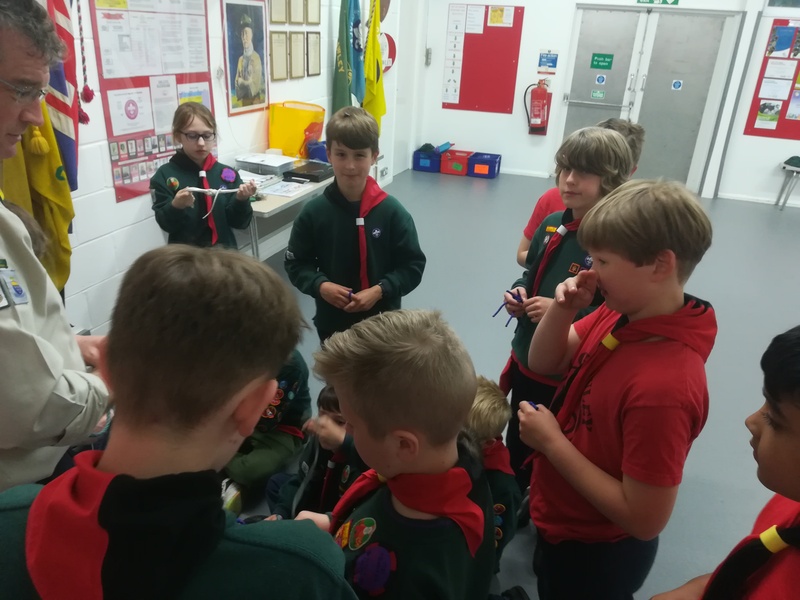 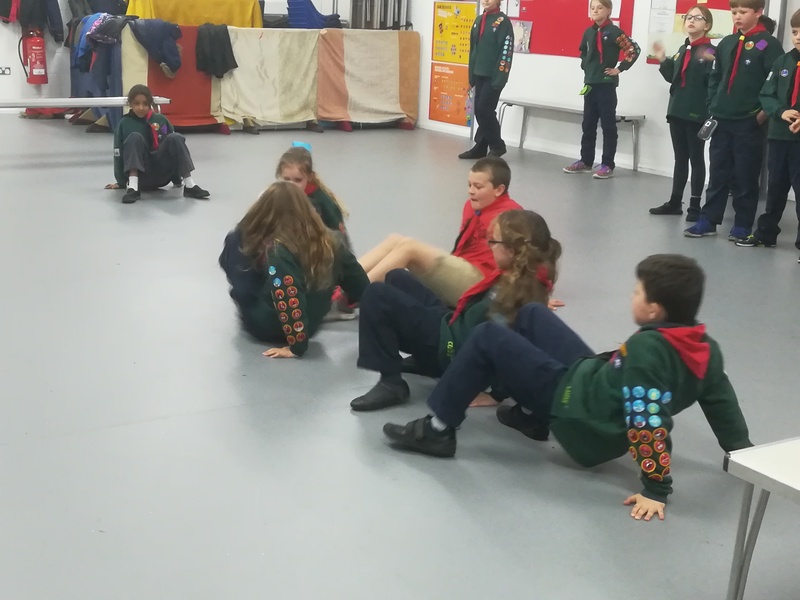 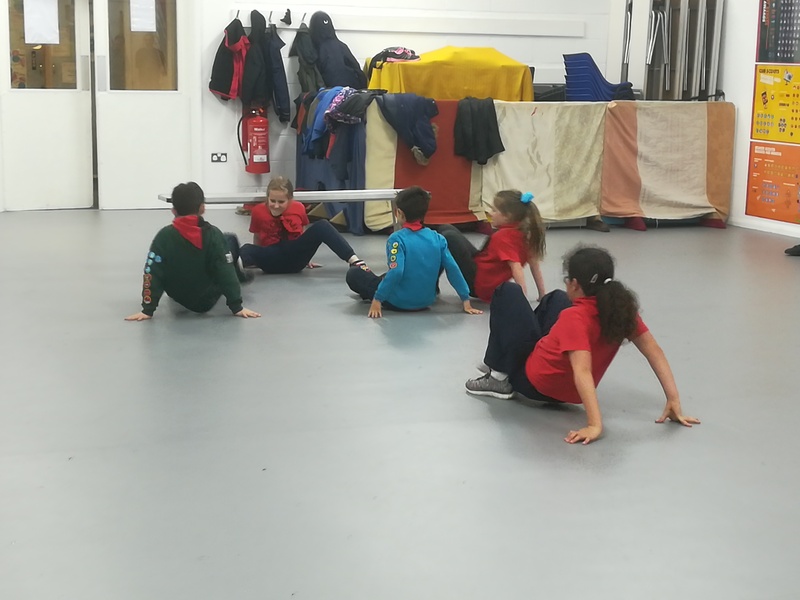 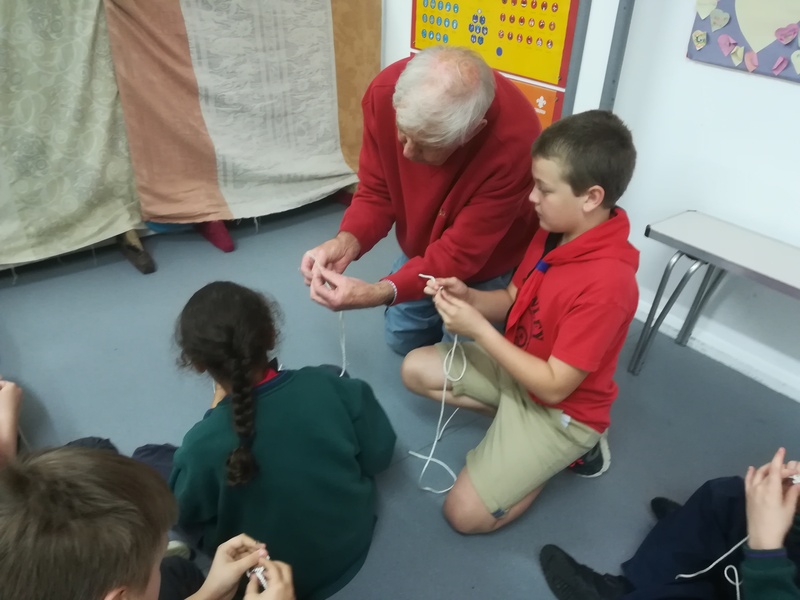 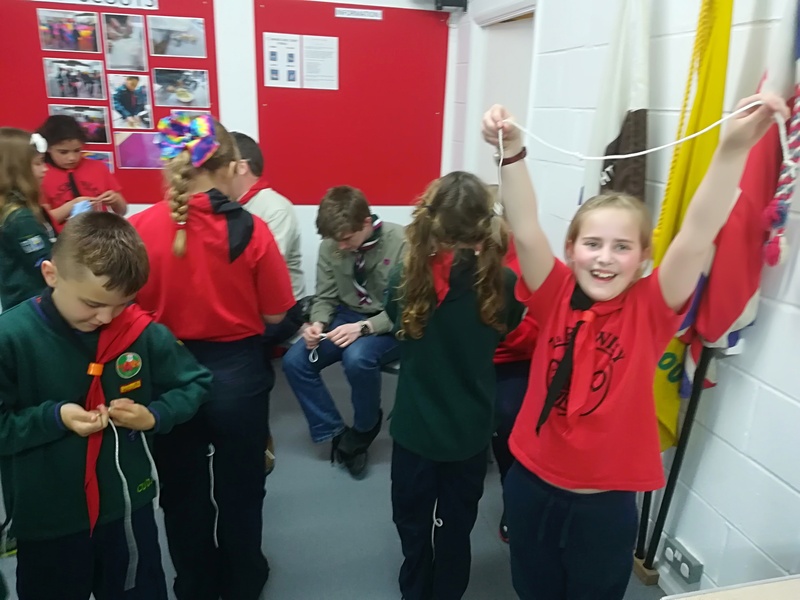 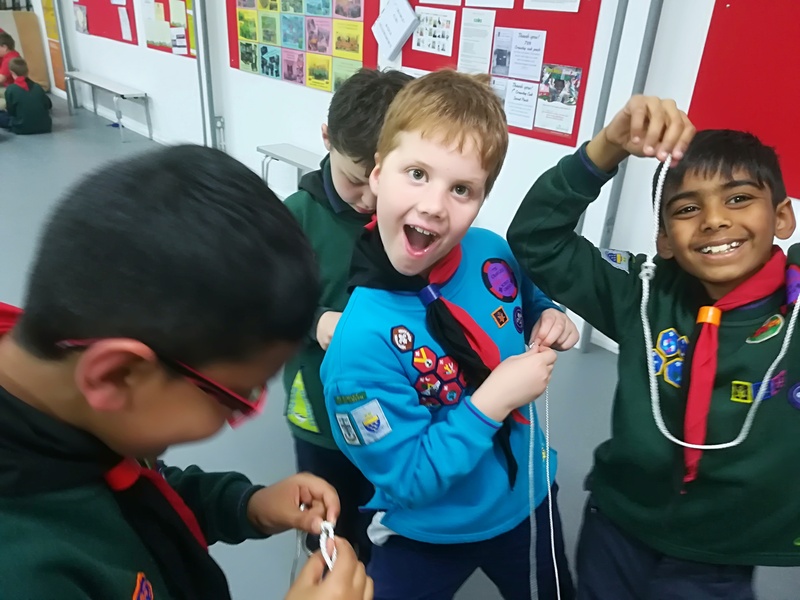 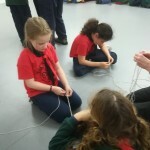 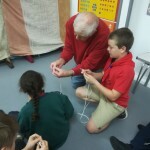 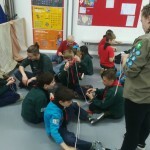 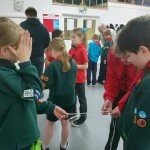 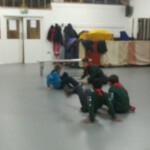 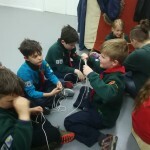 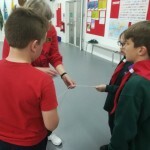 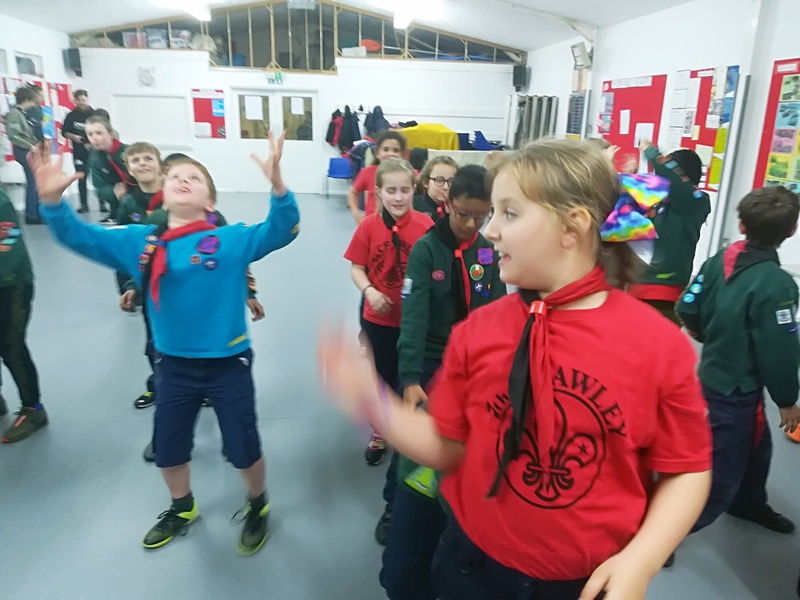 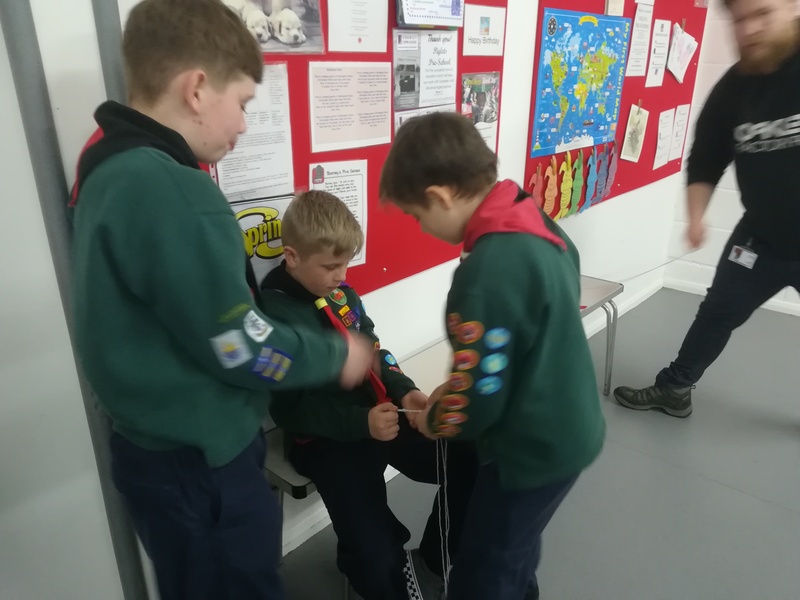 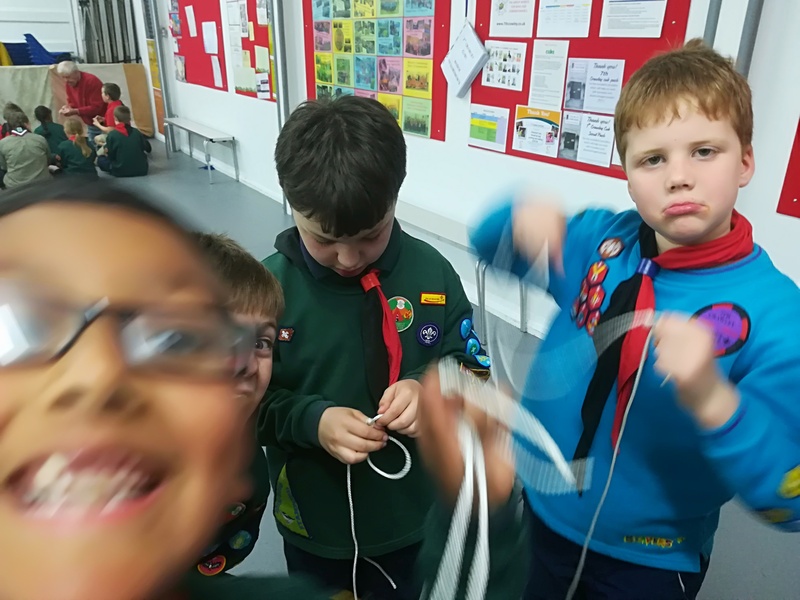 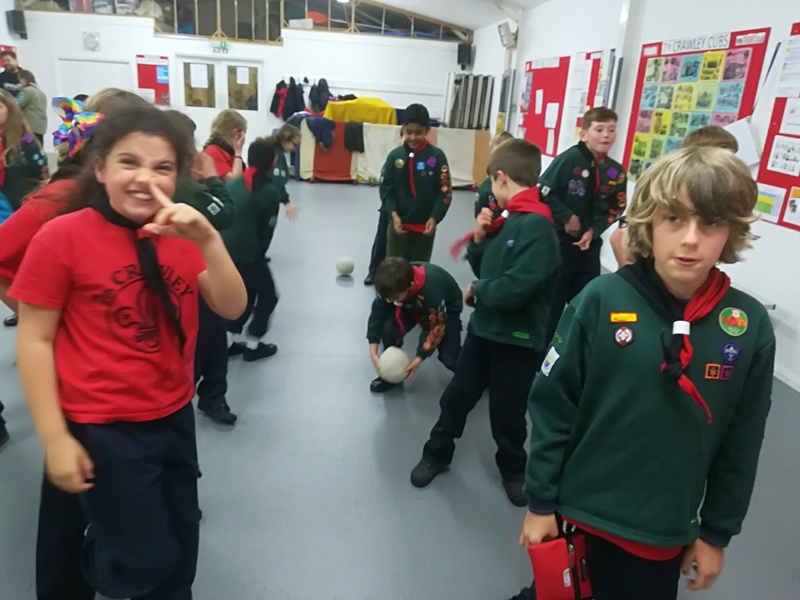 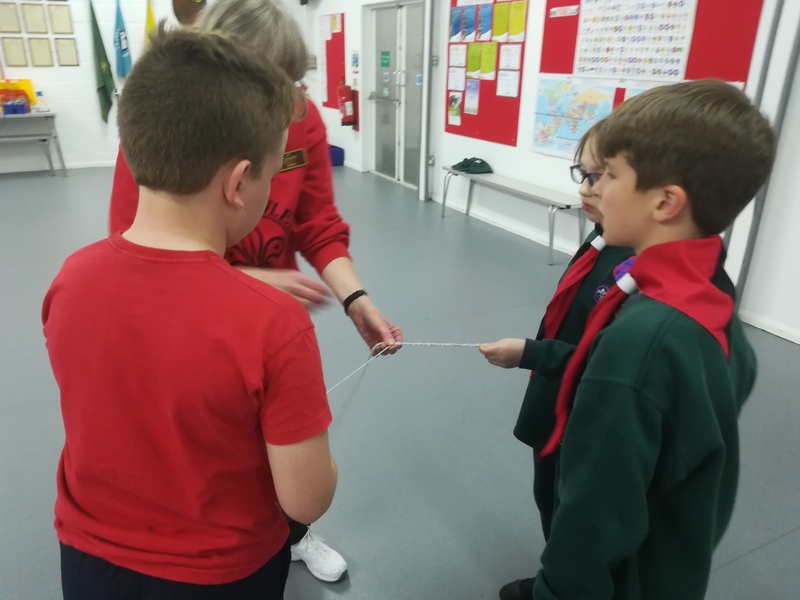 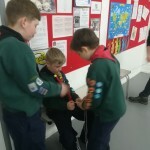 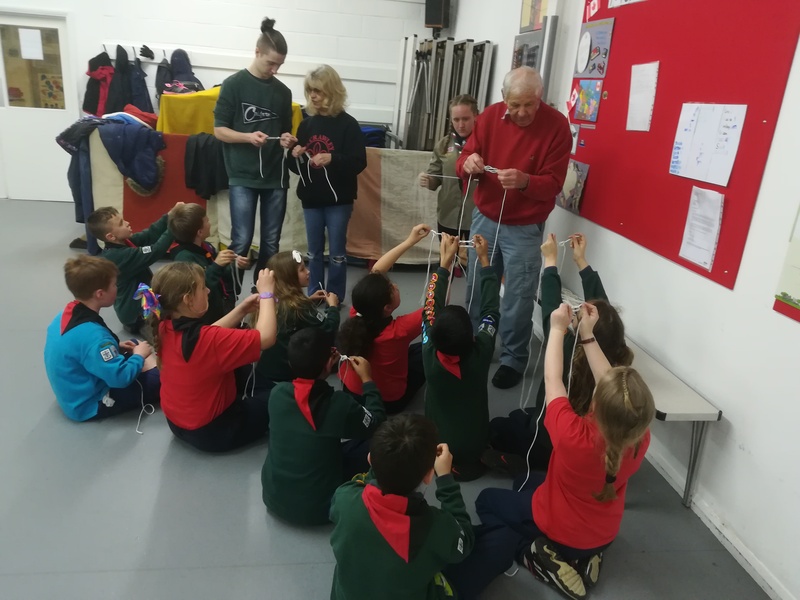 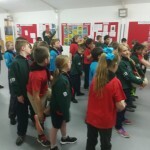 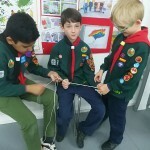 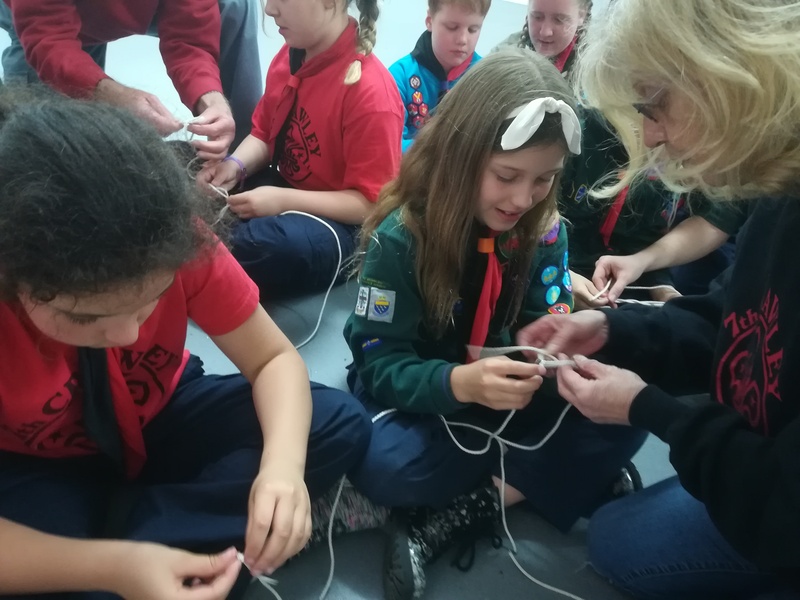 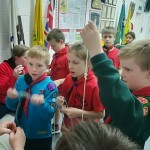 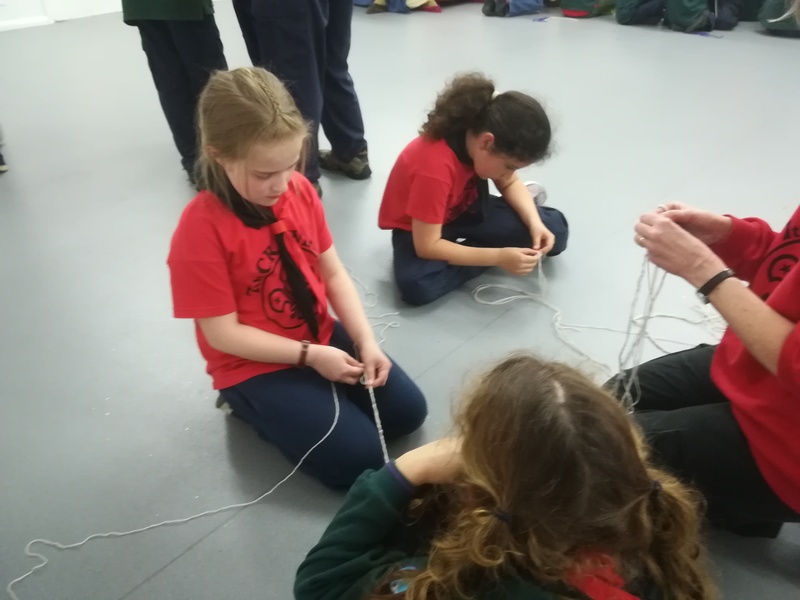 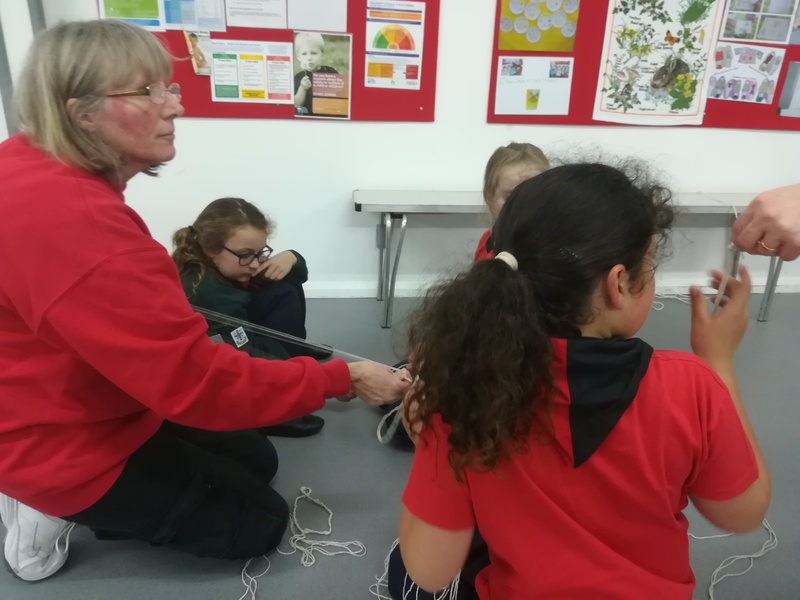 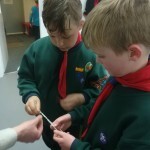 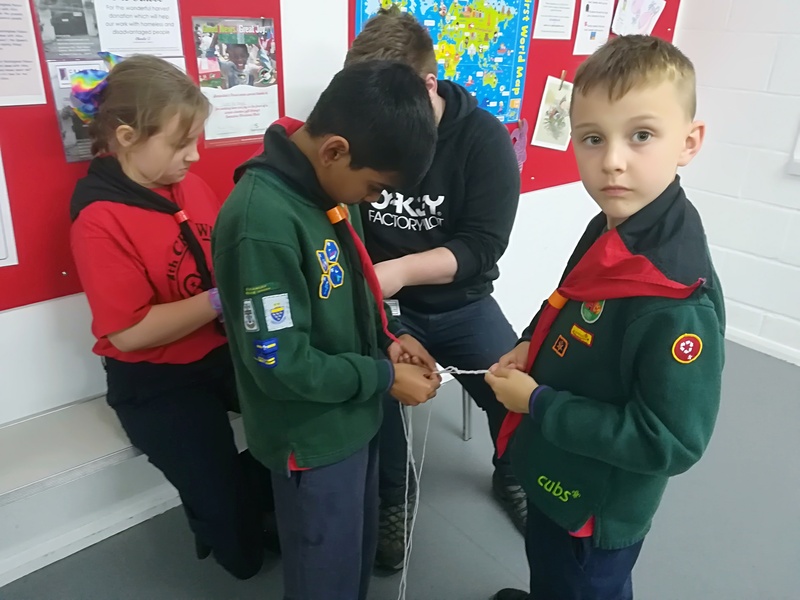 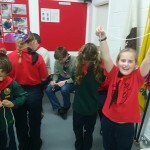 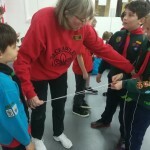 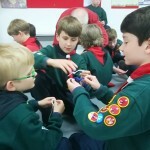 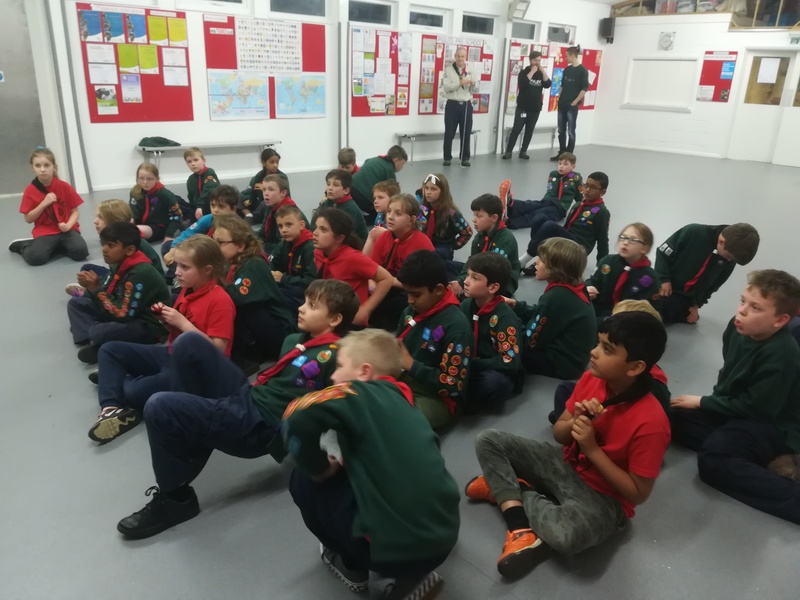 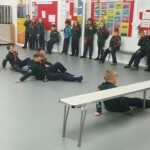 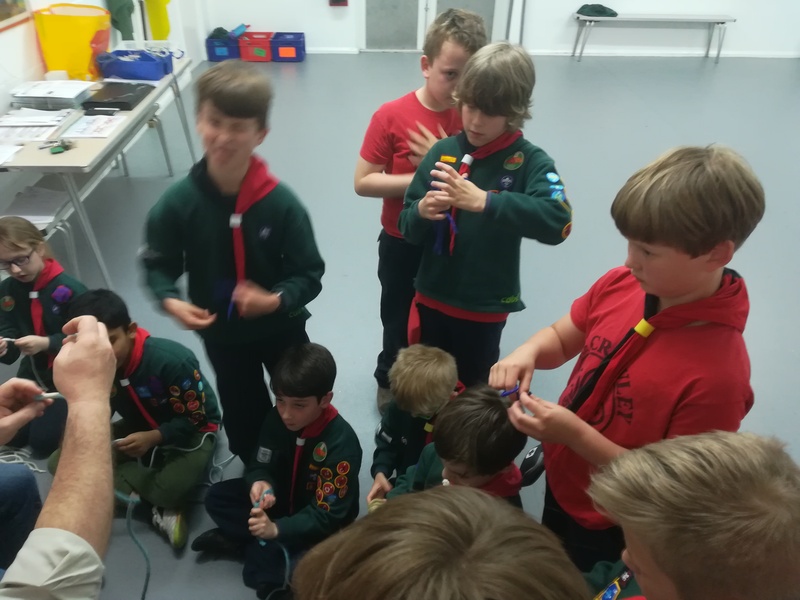 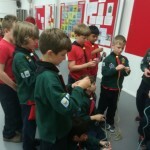 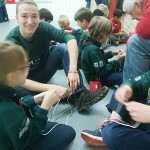 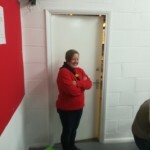 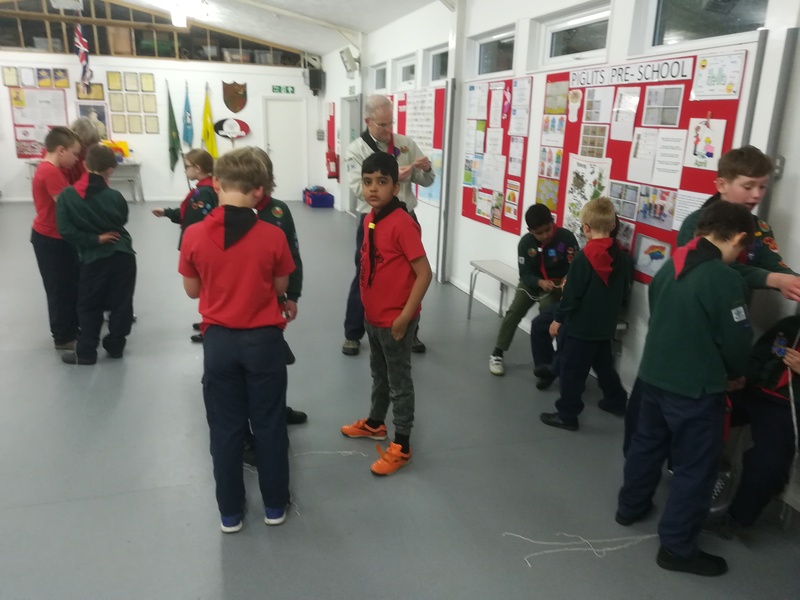 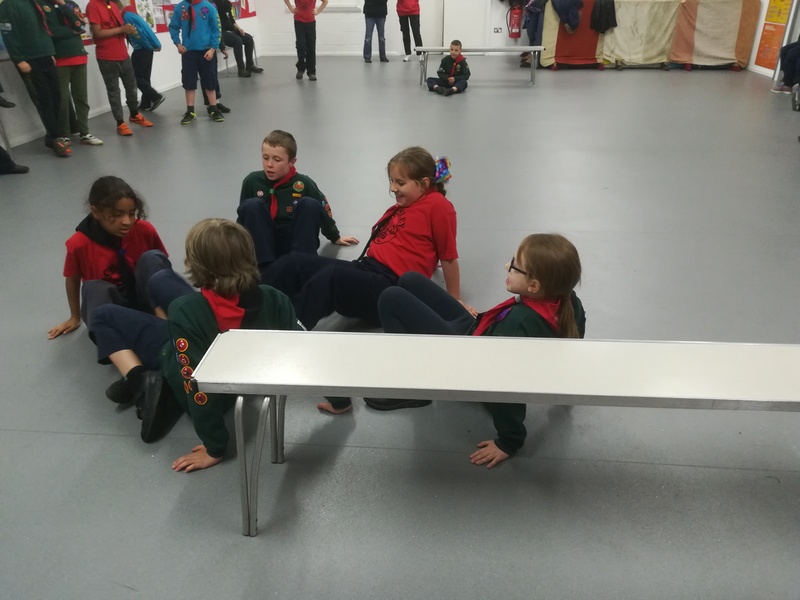 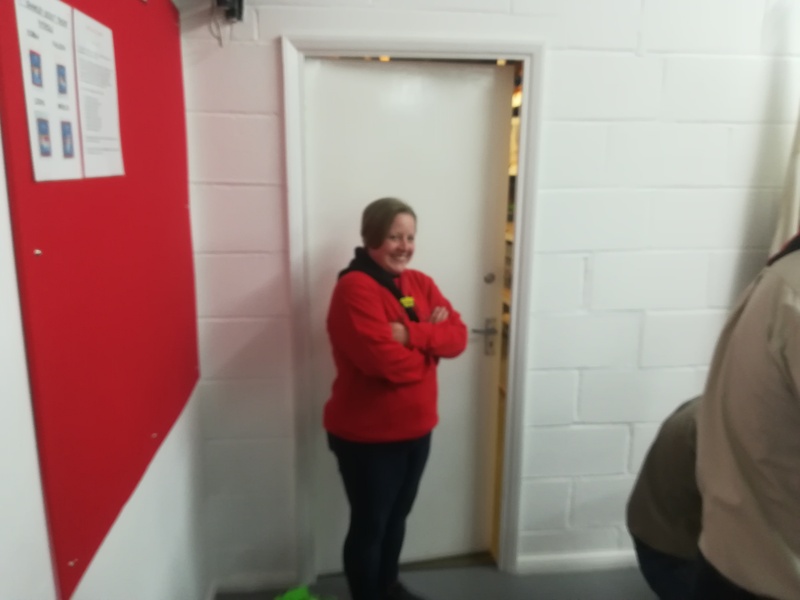 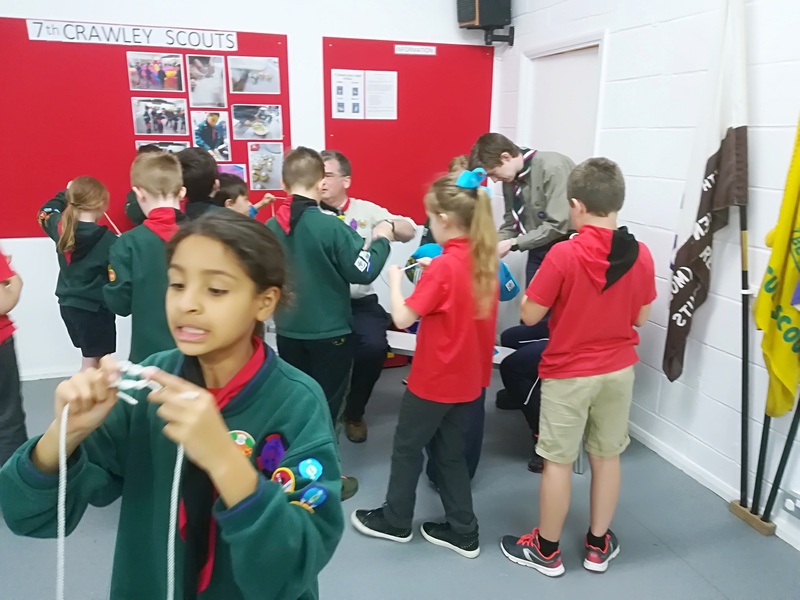 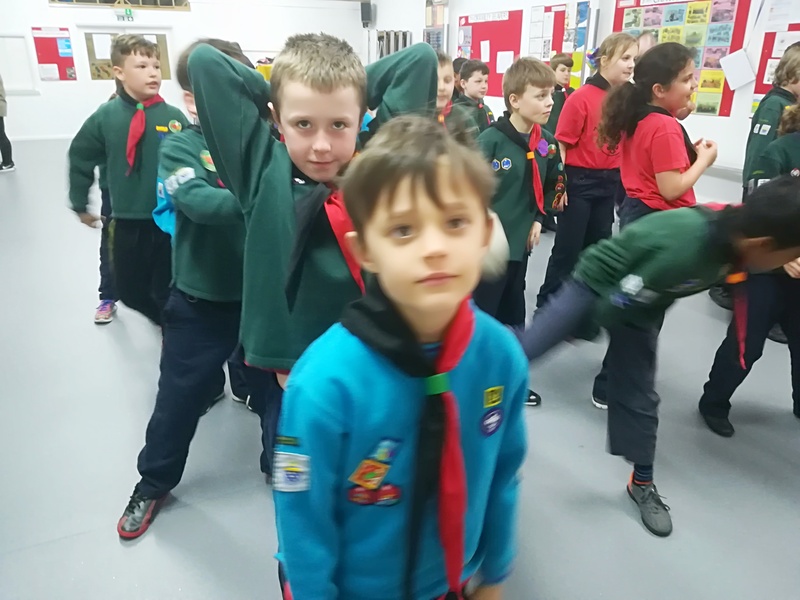 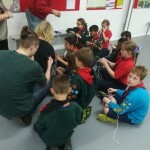 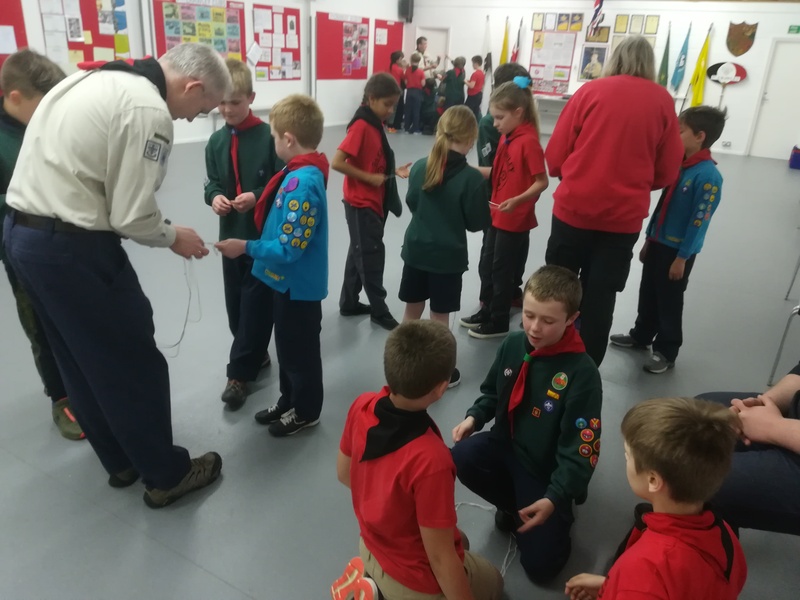 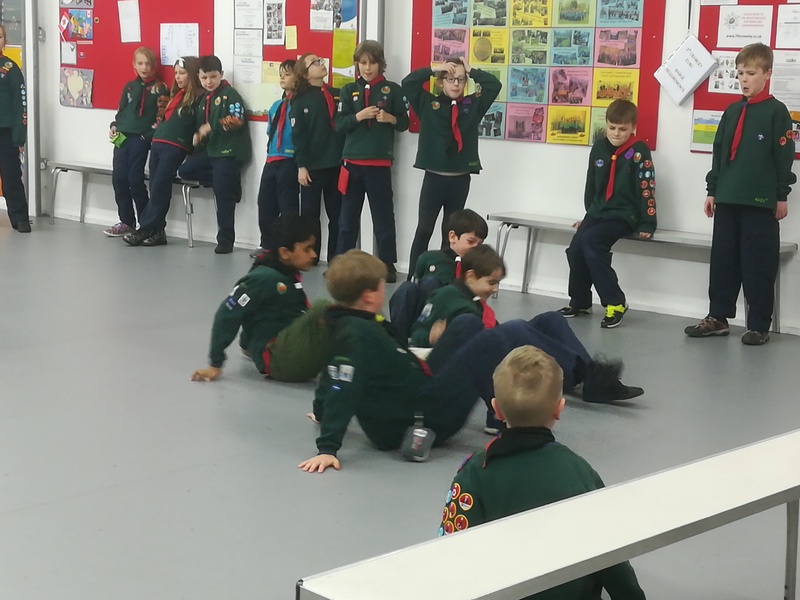 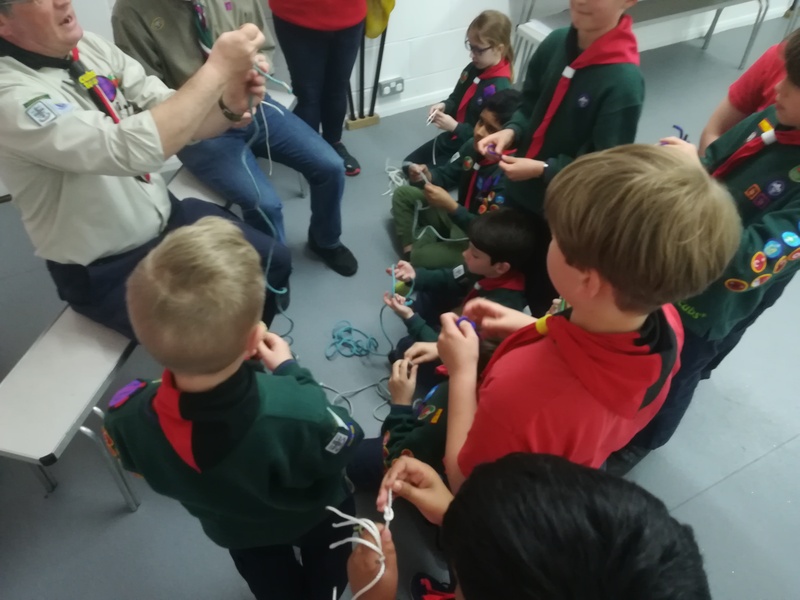 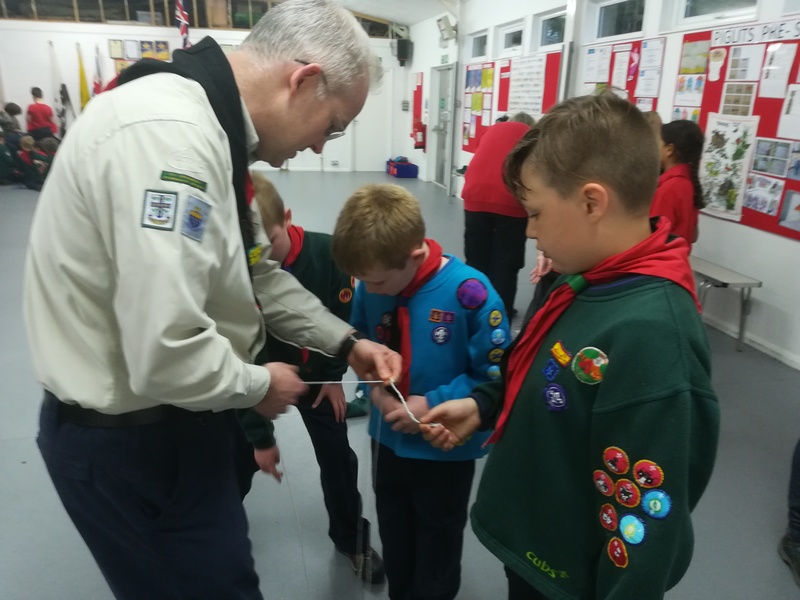 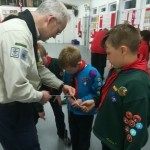 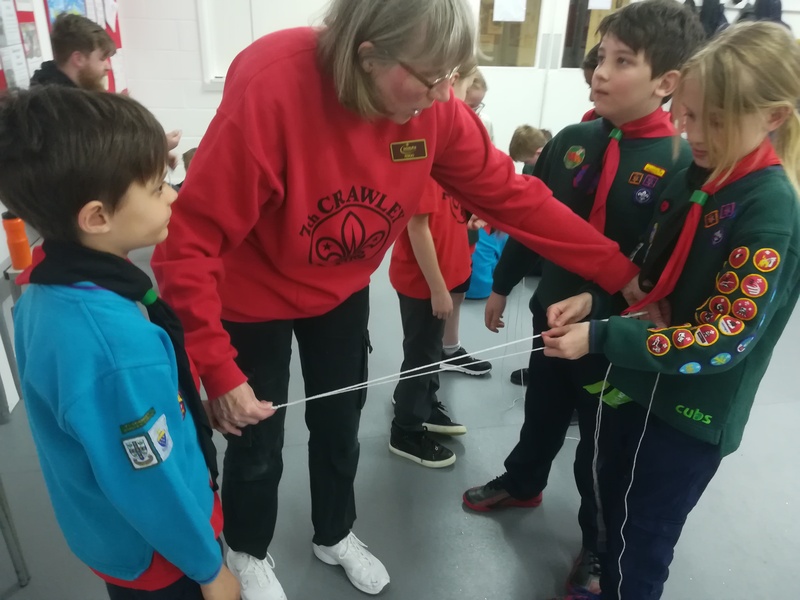 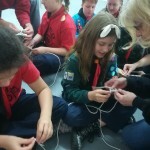 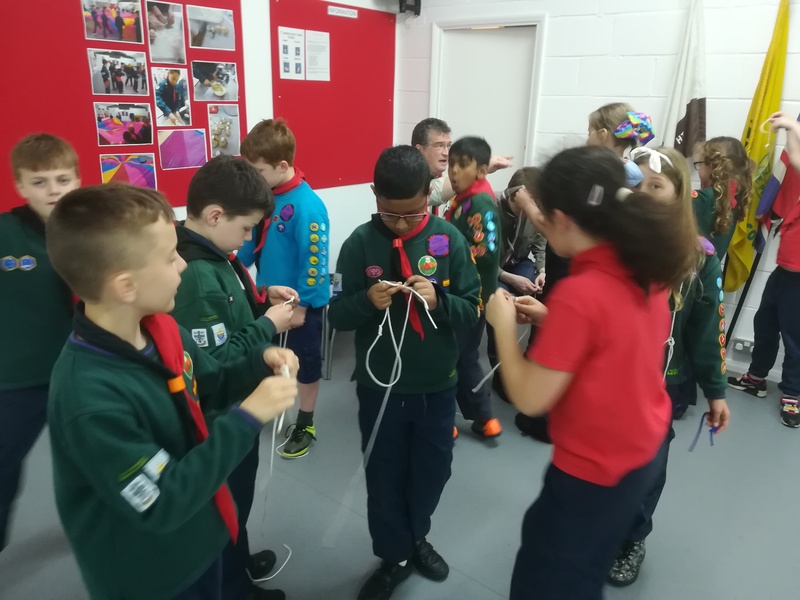 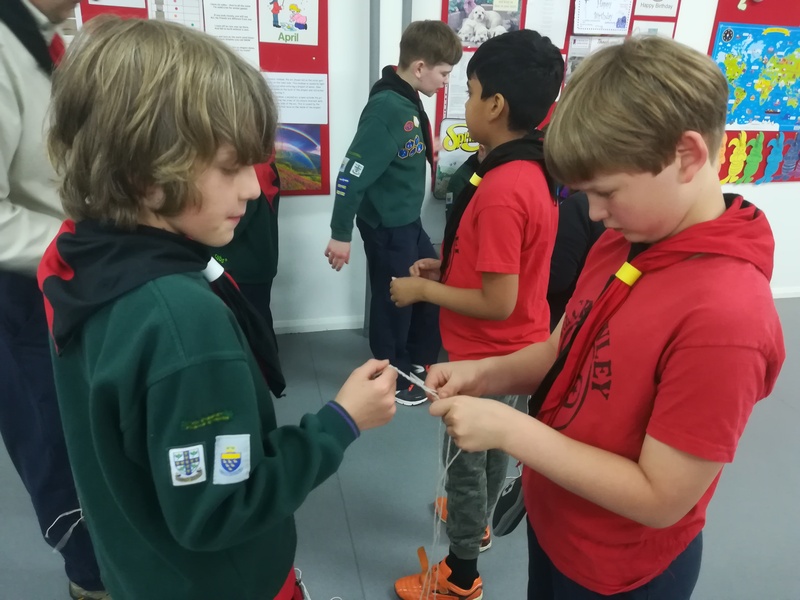 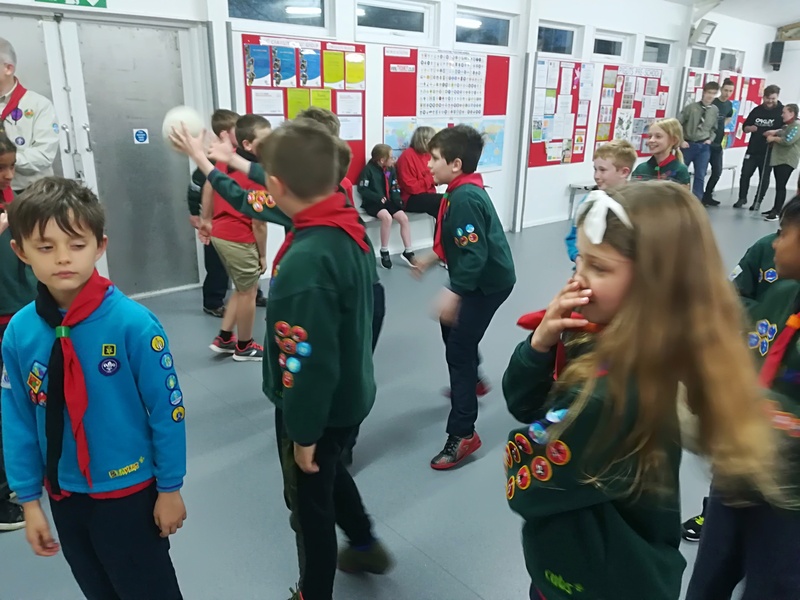 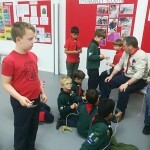 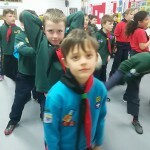 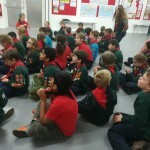 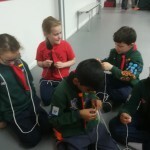 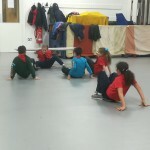 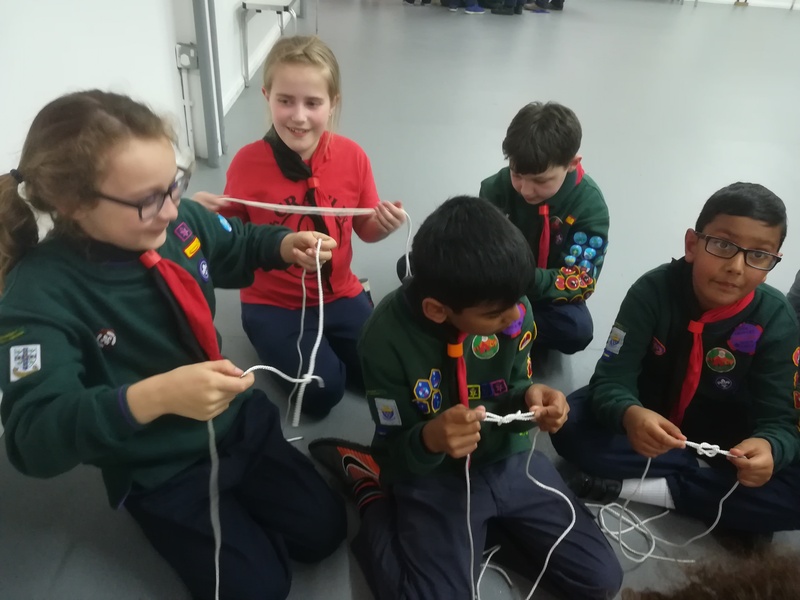 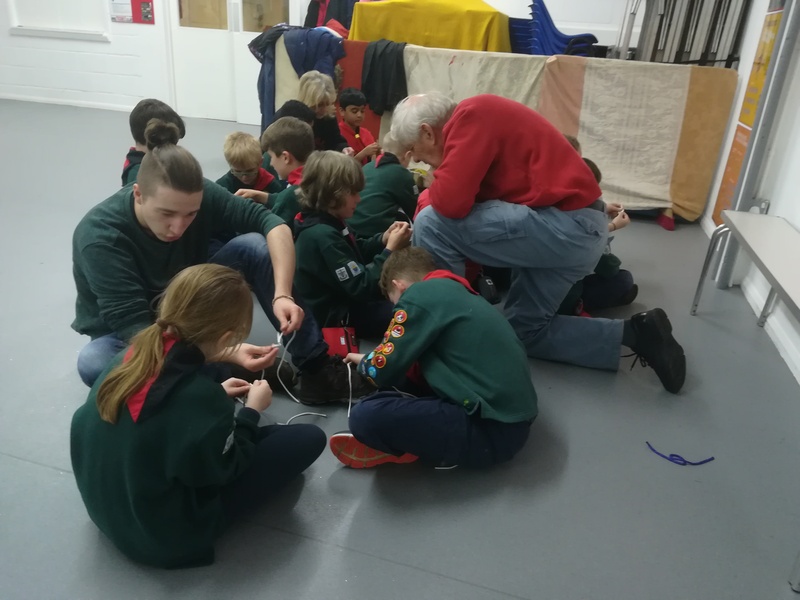 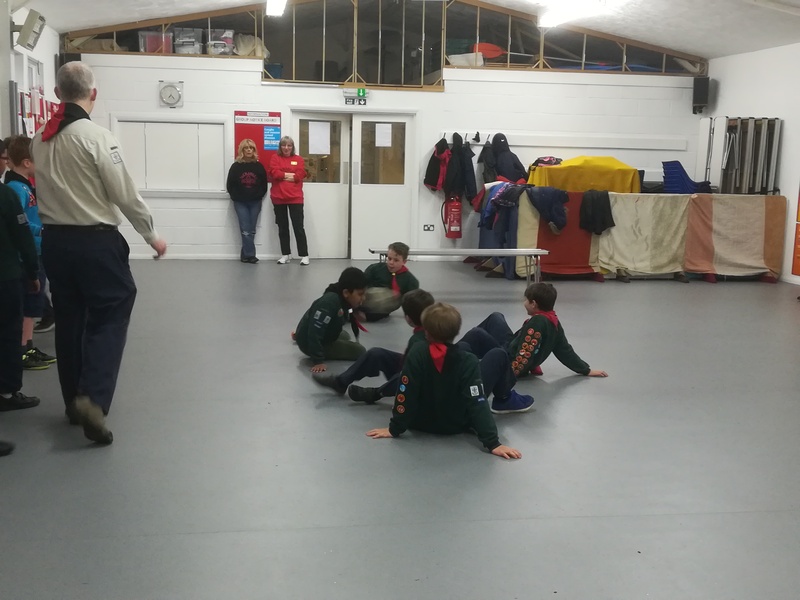 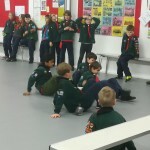 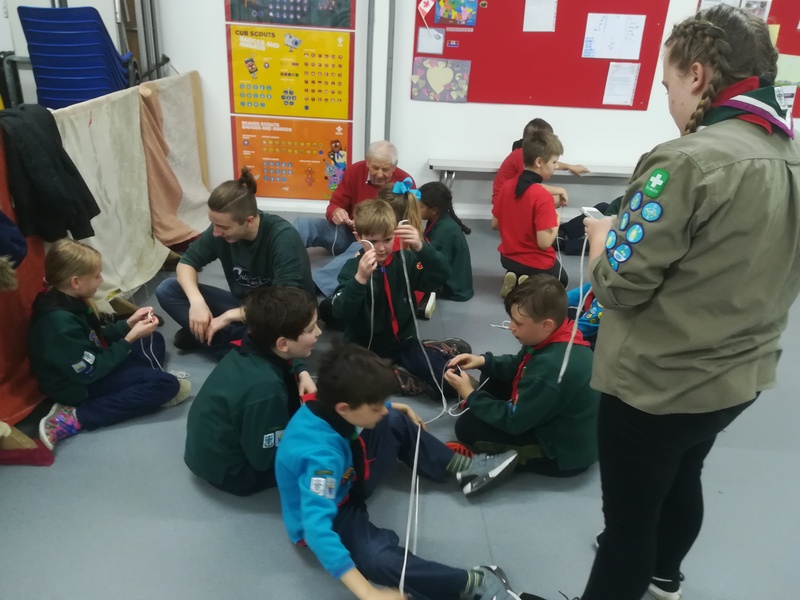 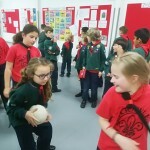 The Cubs started to work towards the Pioneering activity badge by learning how to make simple rope, and how to tie a figure of eight and reef knots. 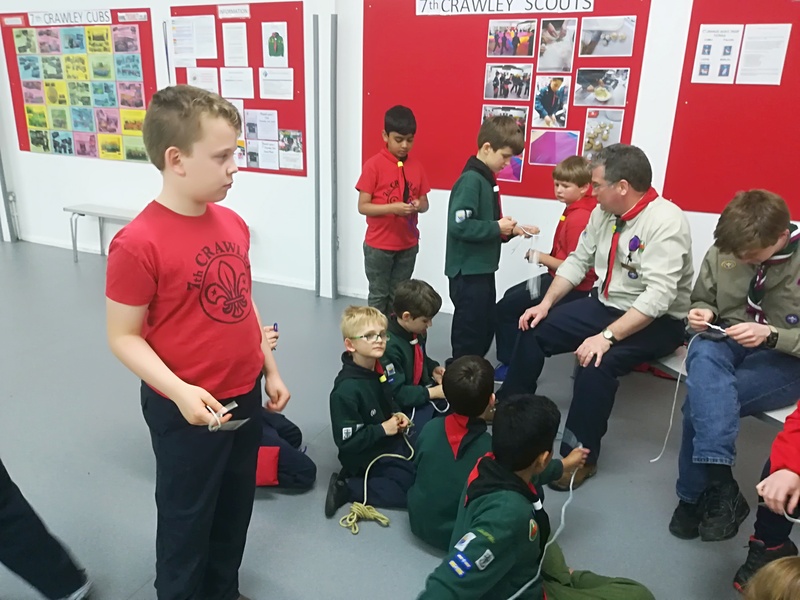 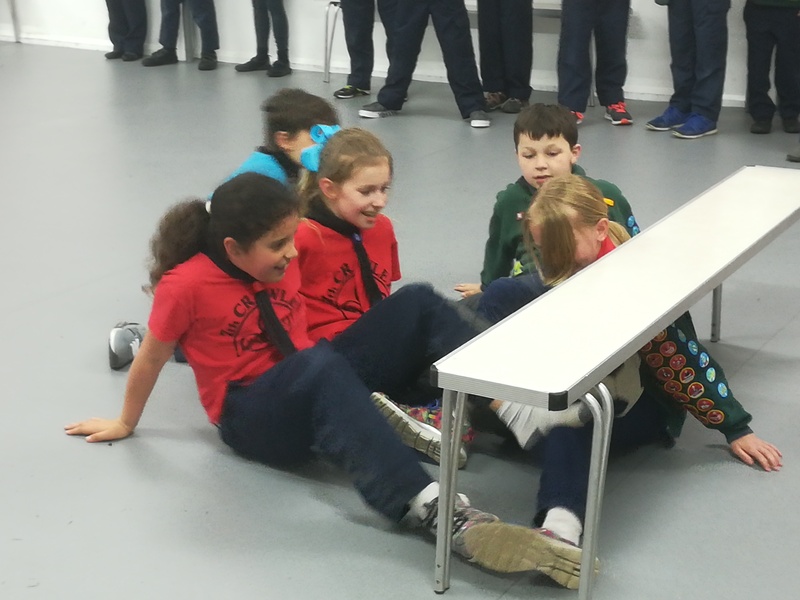 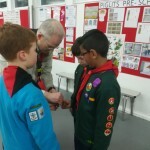 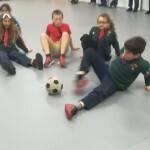 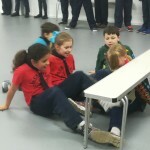 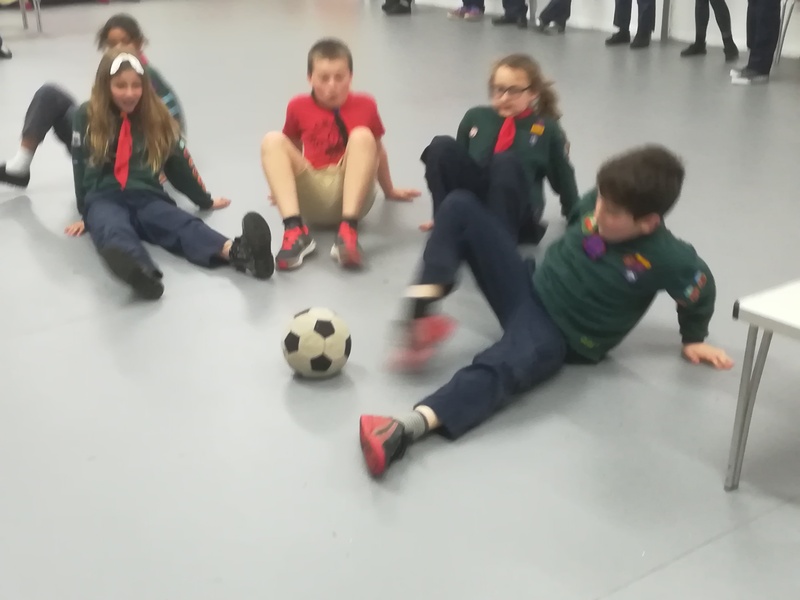 It was pointed out that the reef knot appears at the foot of the purple membership badge that each Cub is given when they are invested into the Pack. 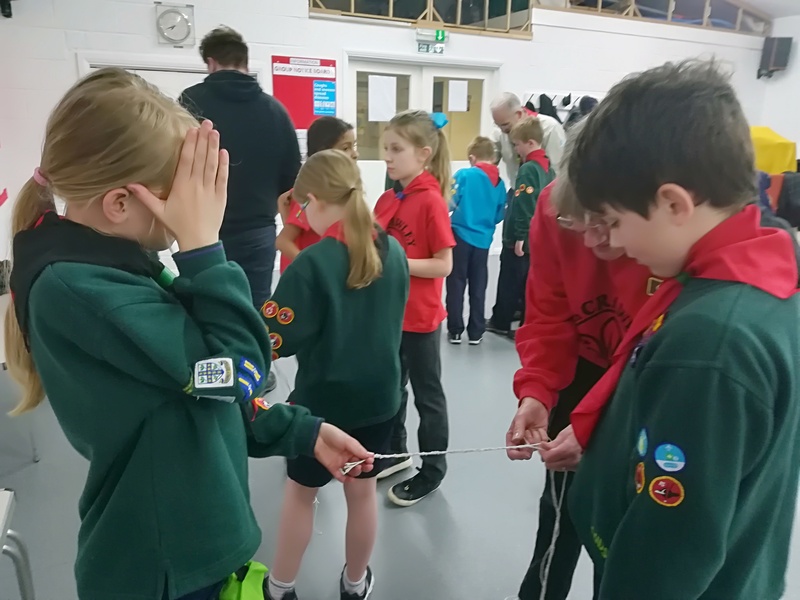 The symbolism of this is that the Reef knot cannot be undone no matter how hard it is pulled and shows the strength of world scouting’s unity and family.